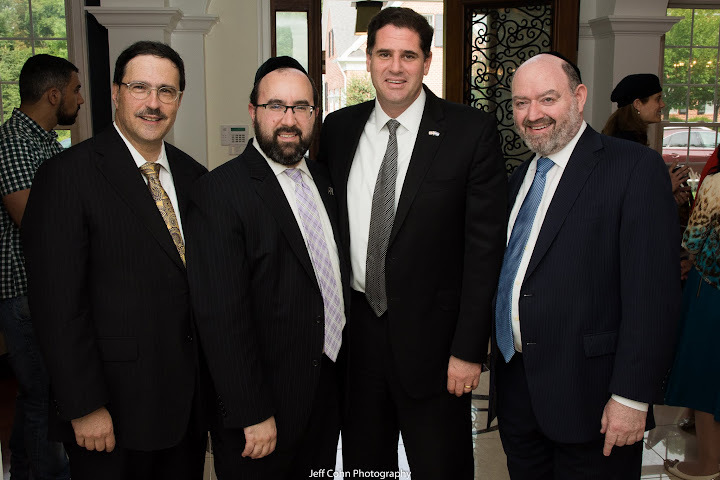 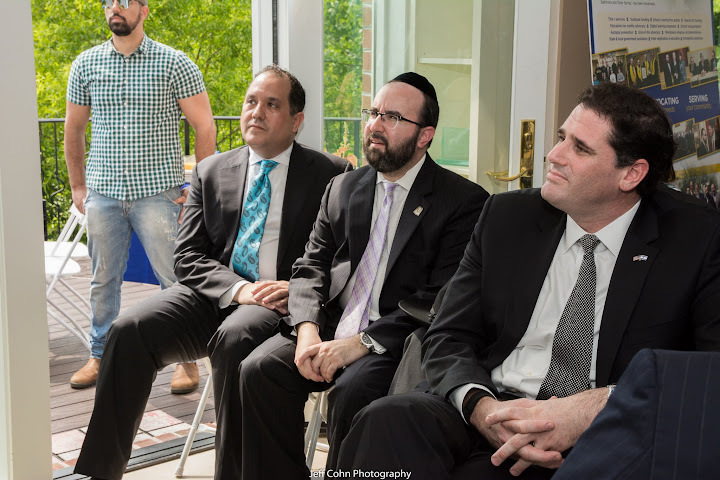 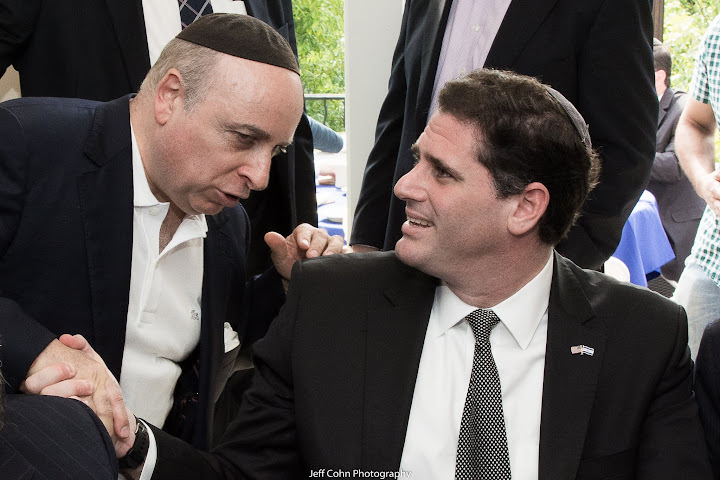 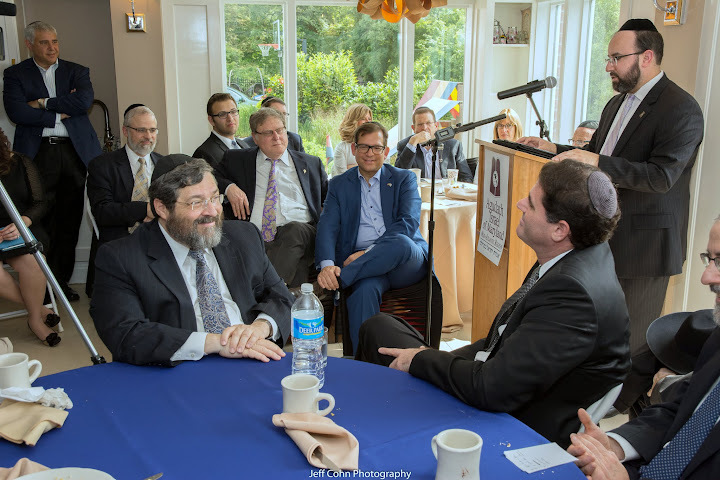 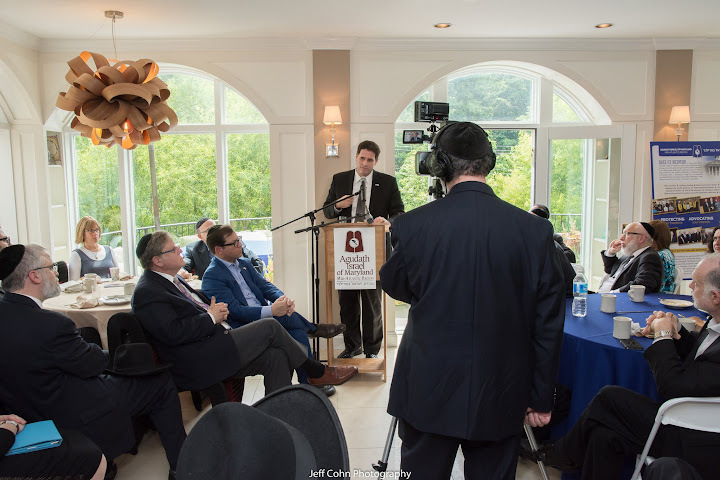 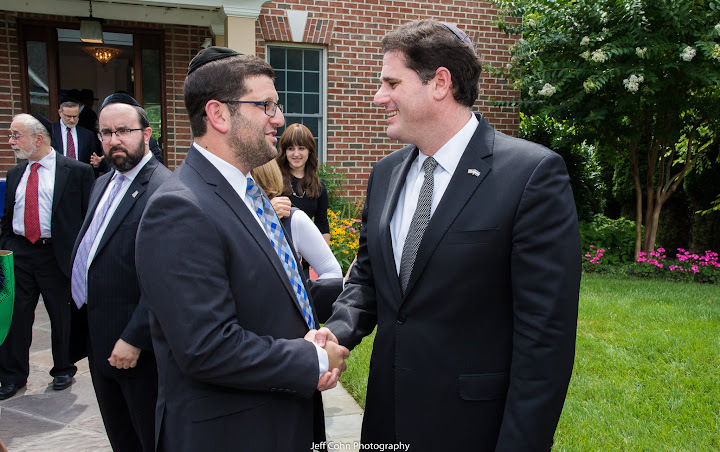 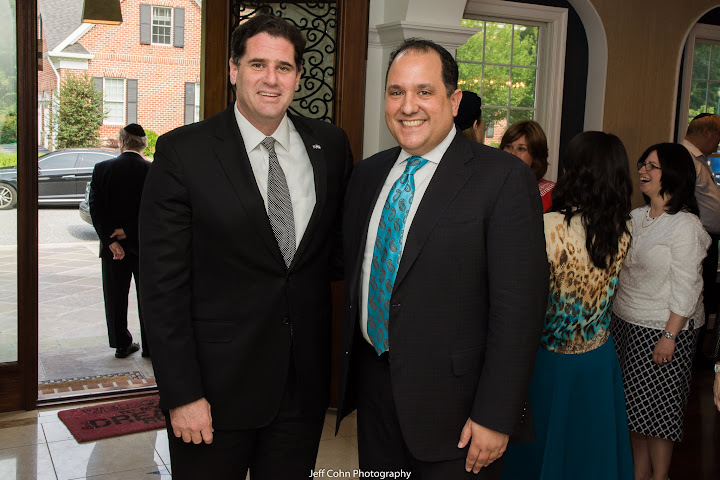 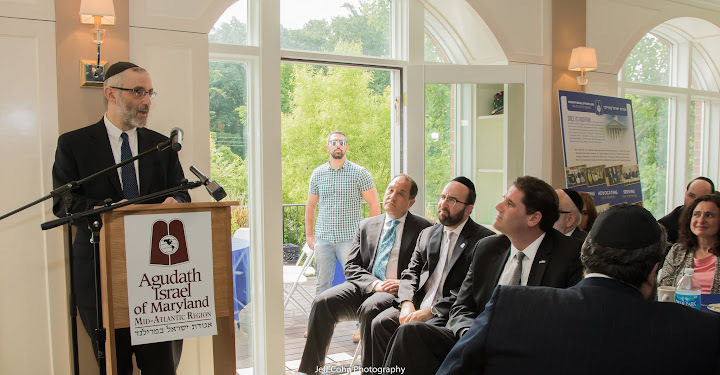 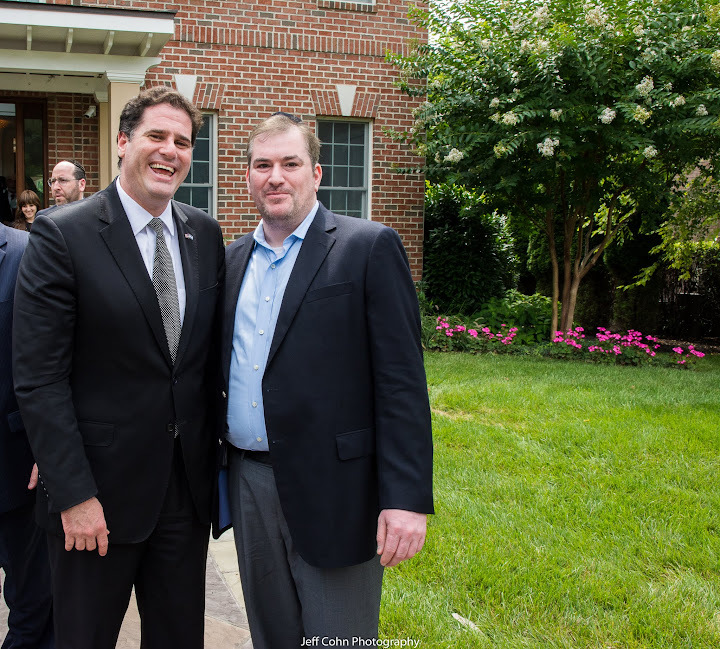 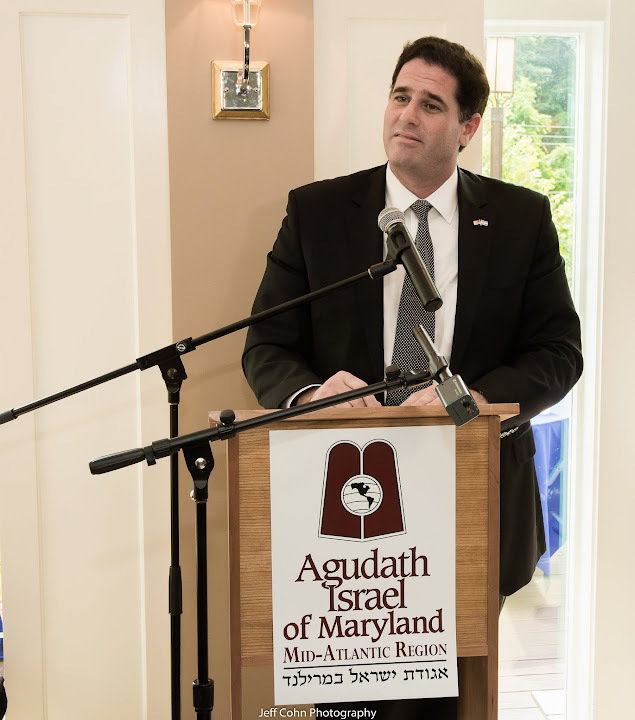 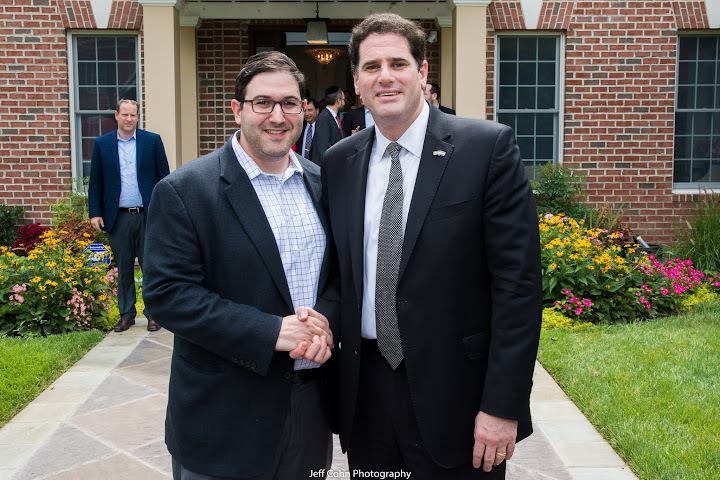 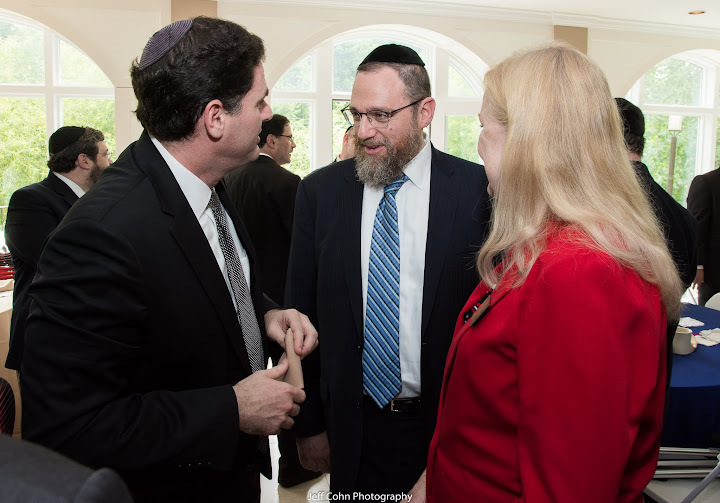 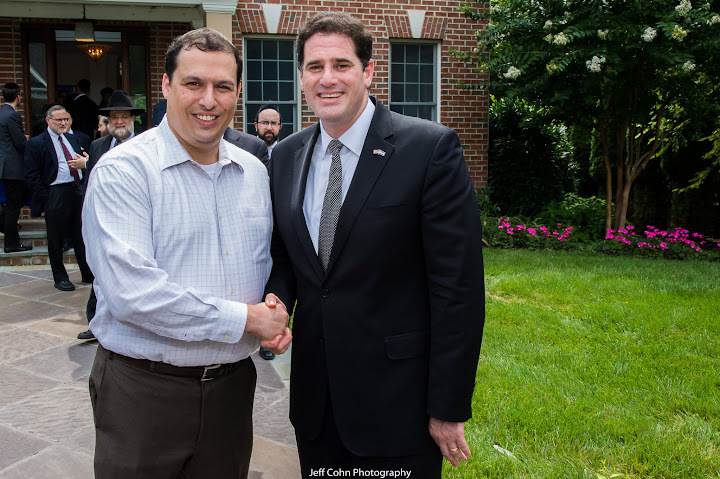 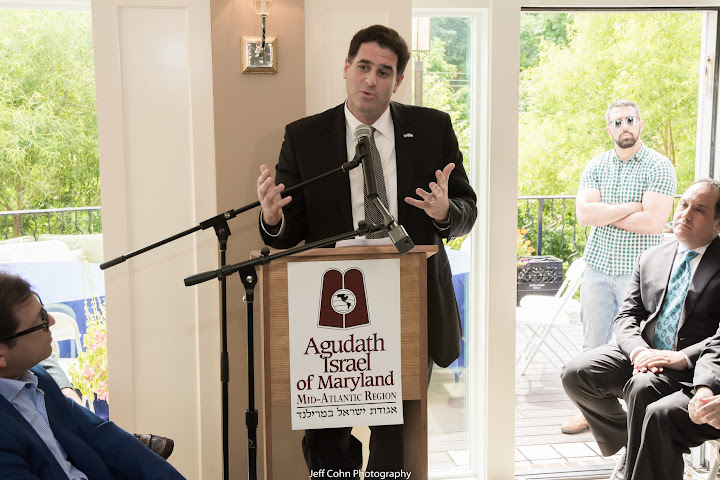 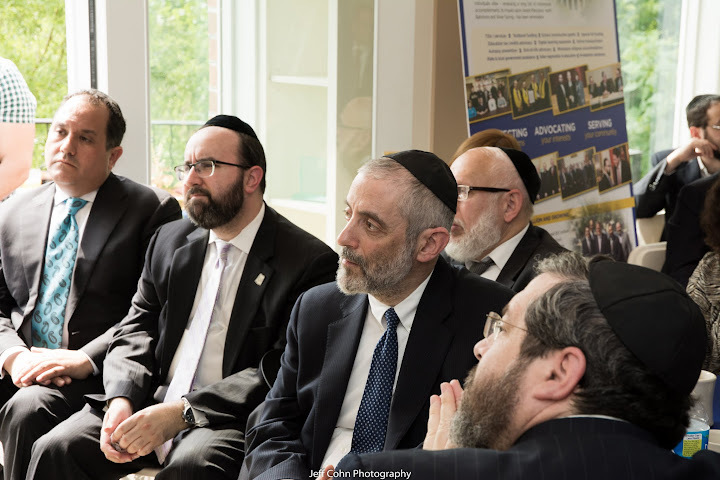 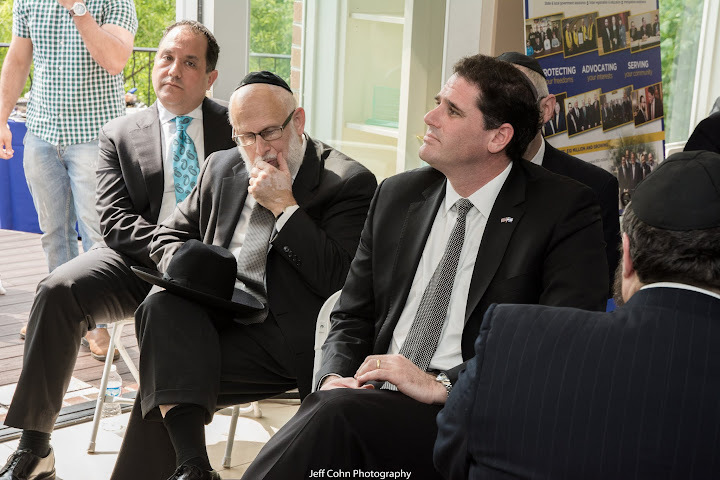 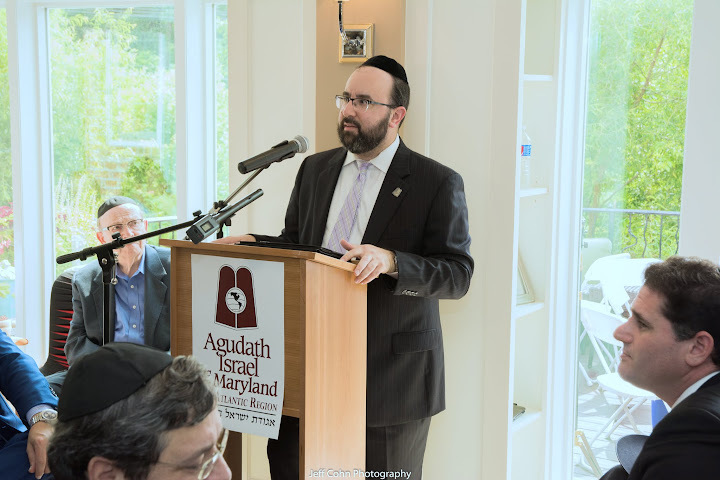 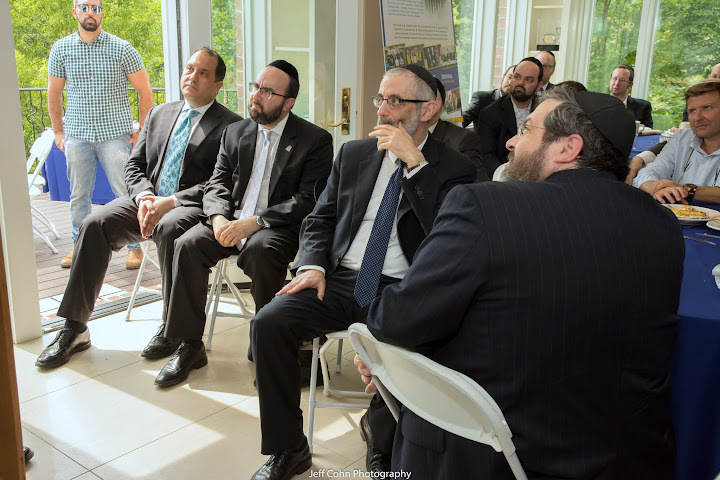 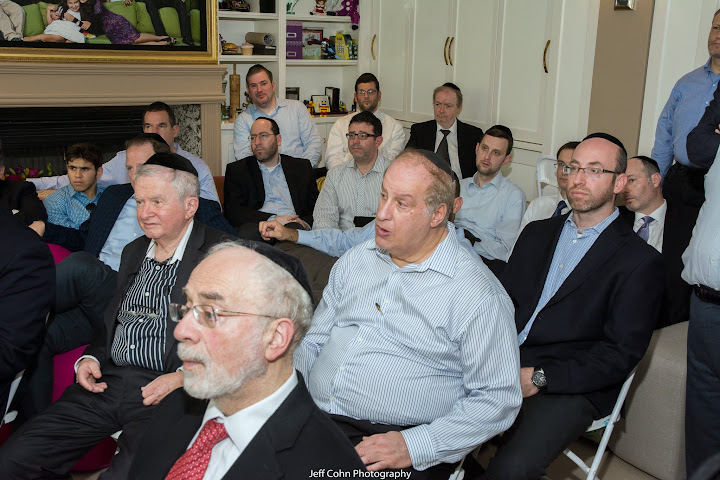 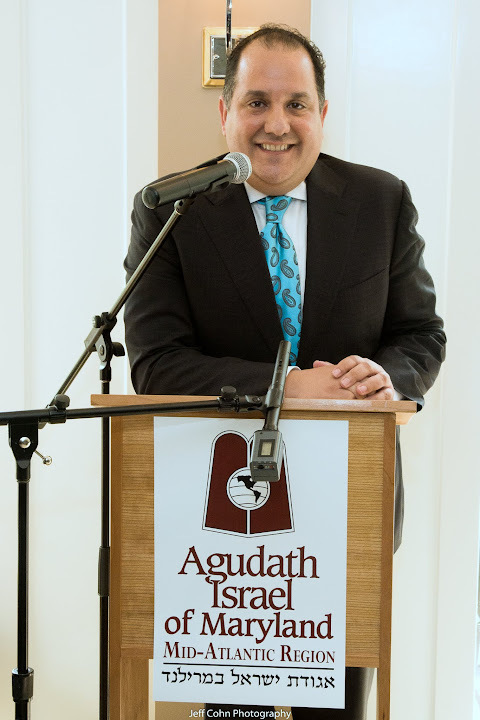 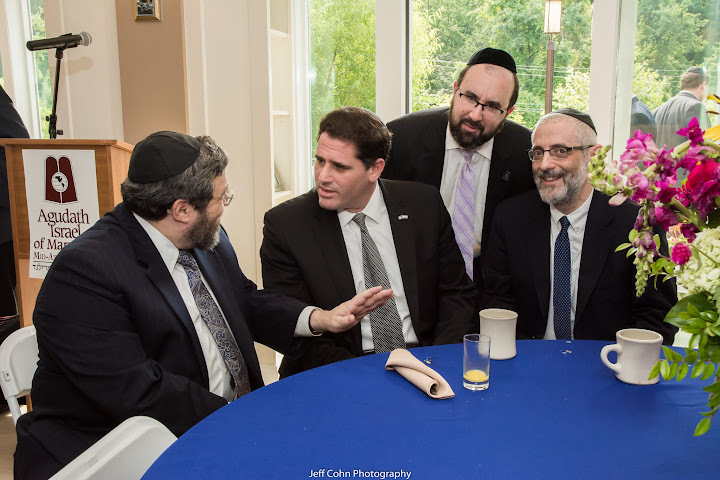 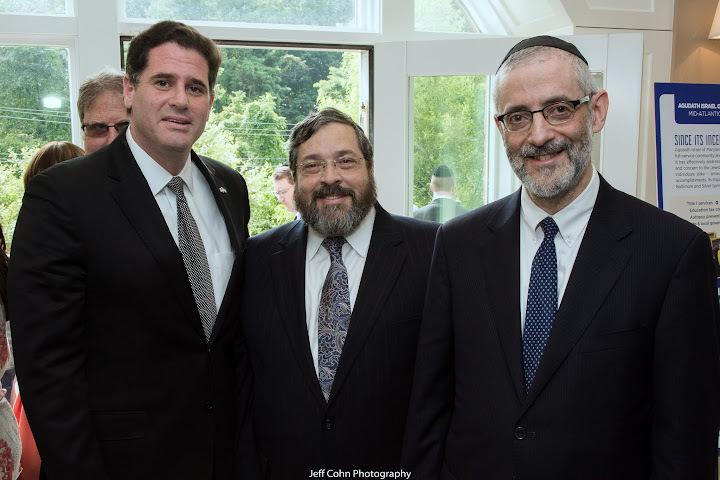 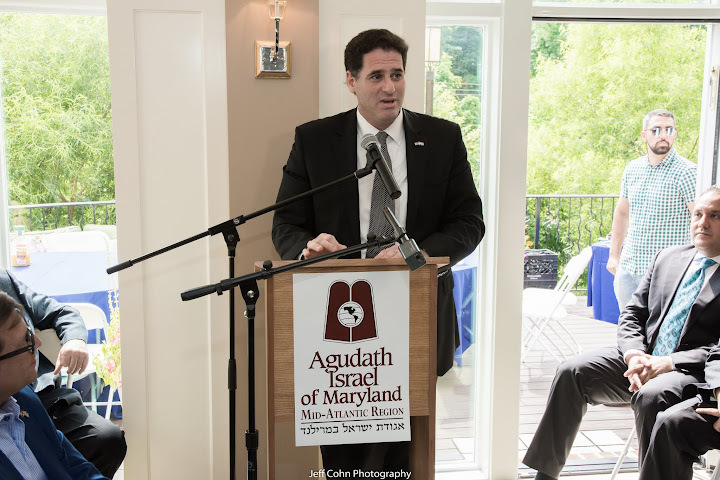 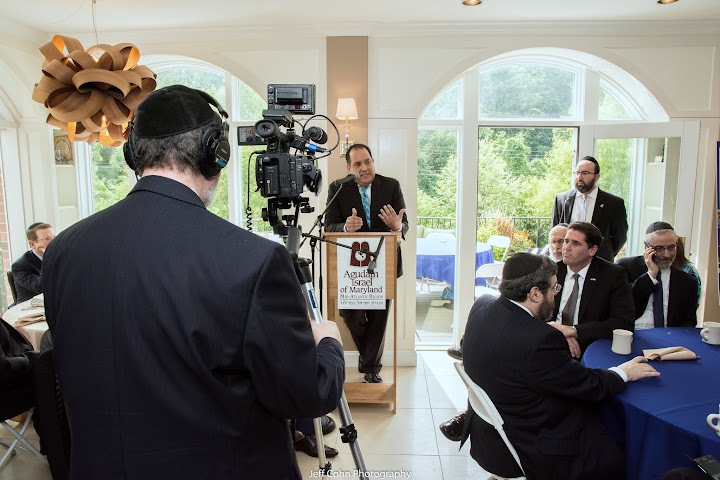 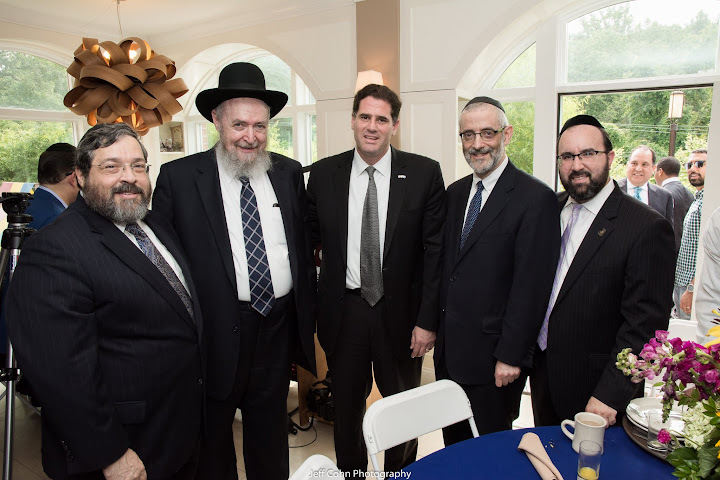 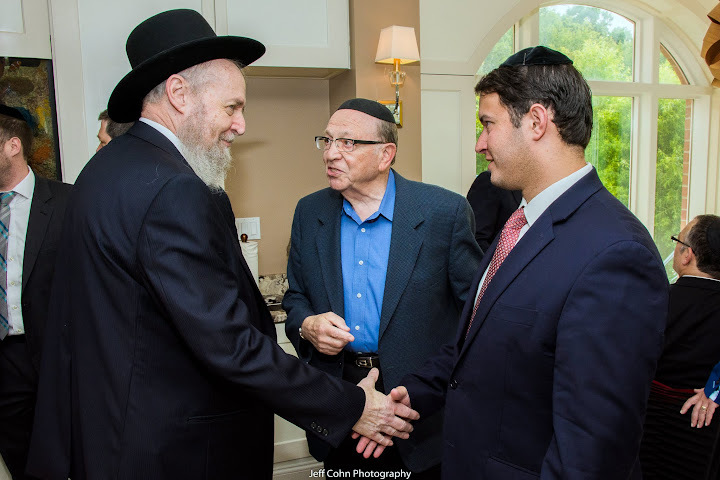 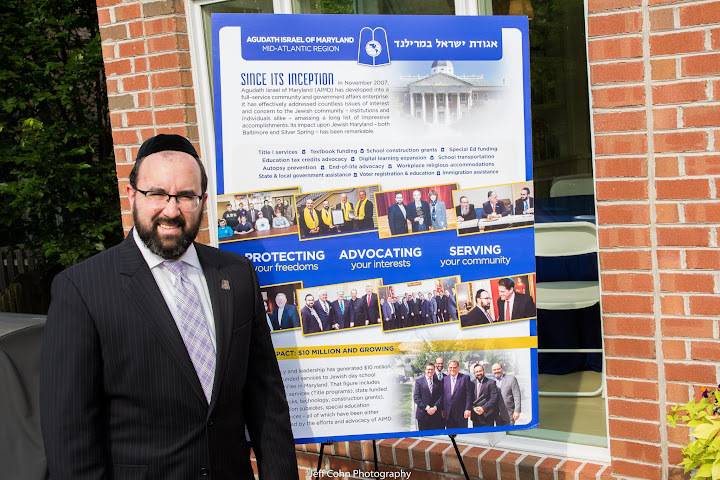 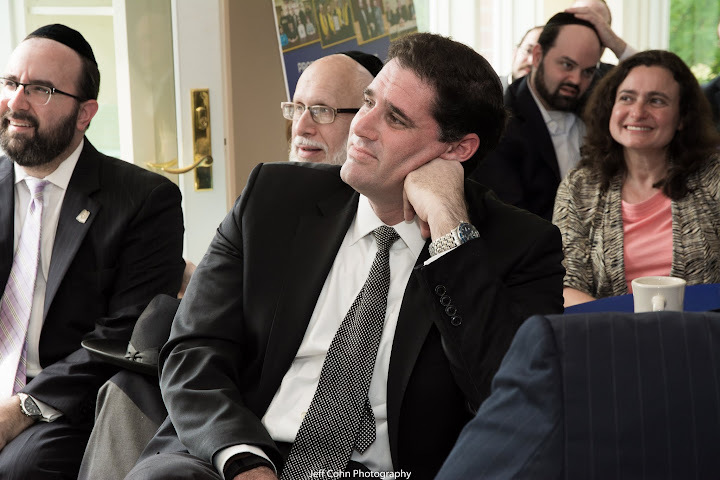 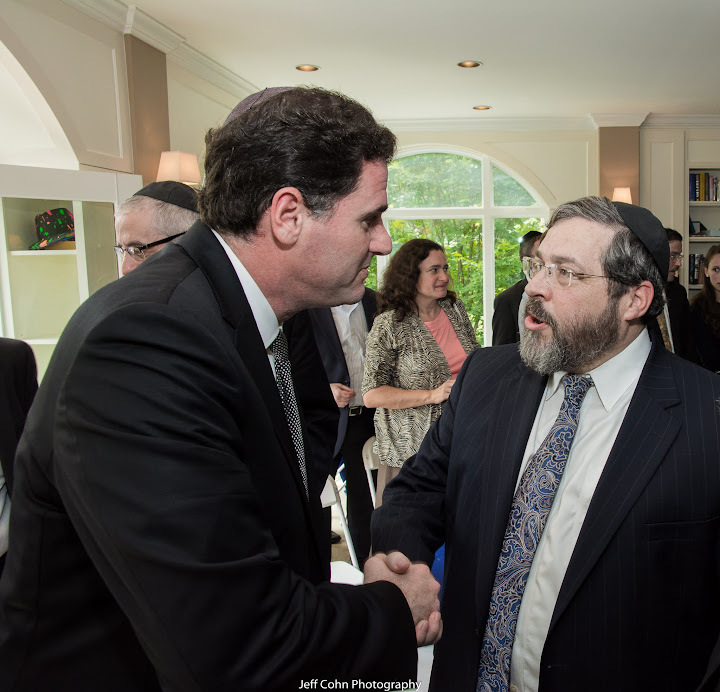 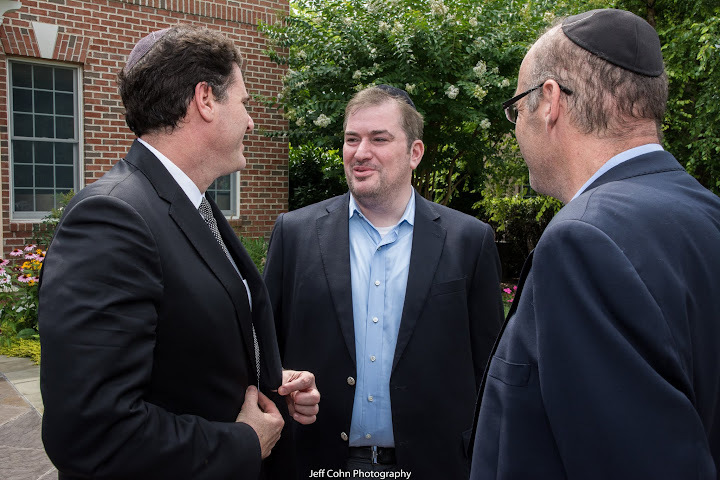 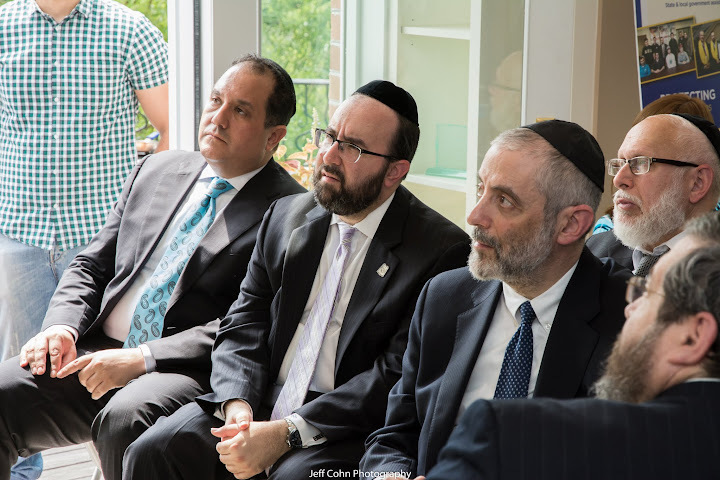 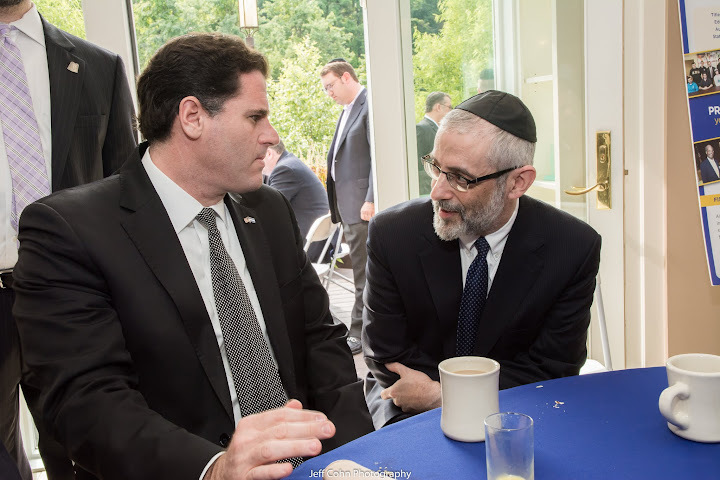 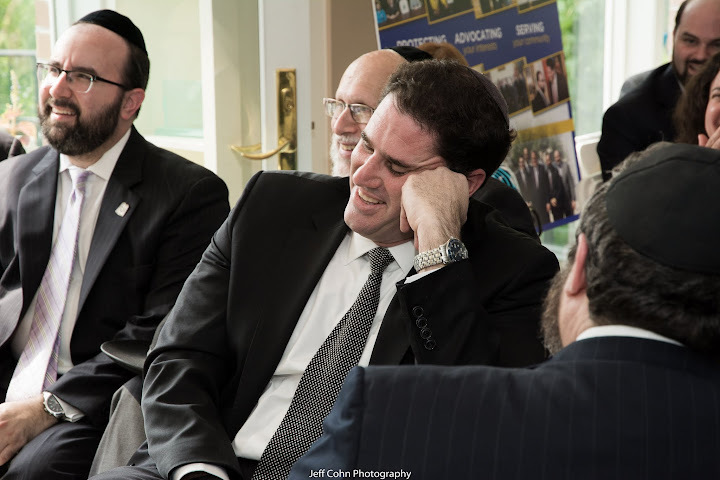 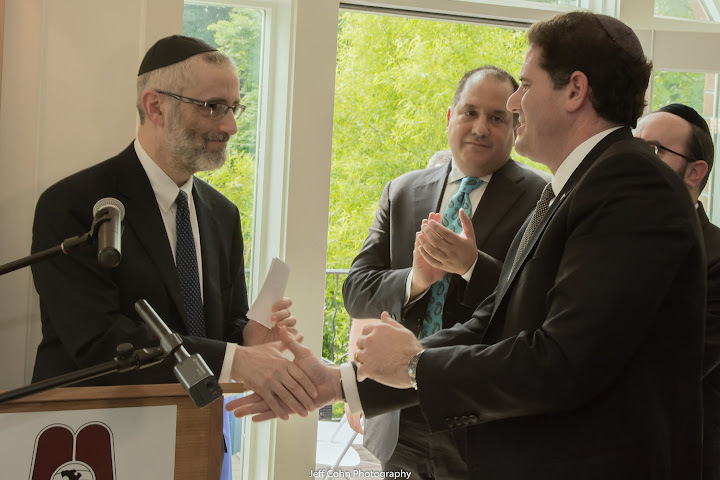 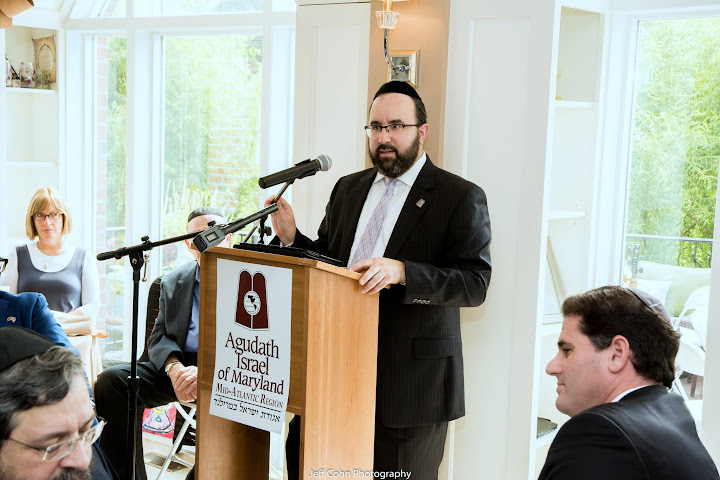 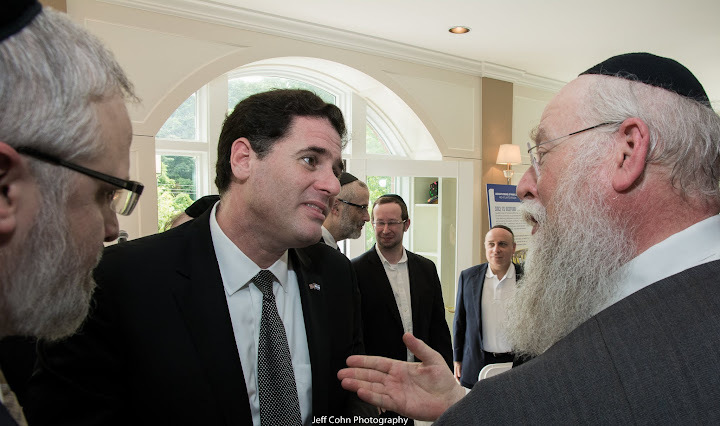 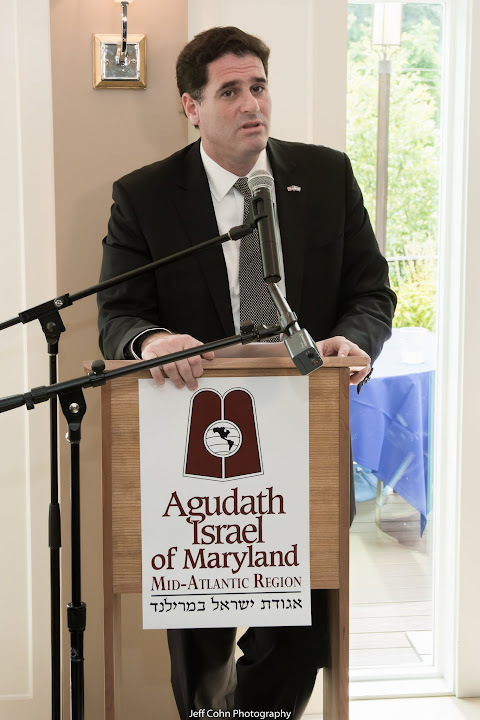 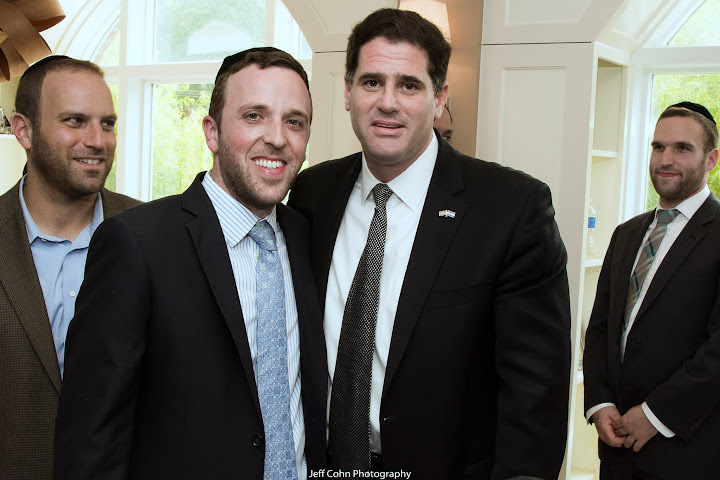 Baltimore, Md - Aug. 7, 2015 - Rabbi Ariel Sadwin, Director of Agudath Israel Mid-Atlantic Region, is pleased to annunce that Agudath Israel of Maryland released a highlights video from its recent event with Israeli Ambassador to the United States, Ron Dermer. 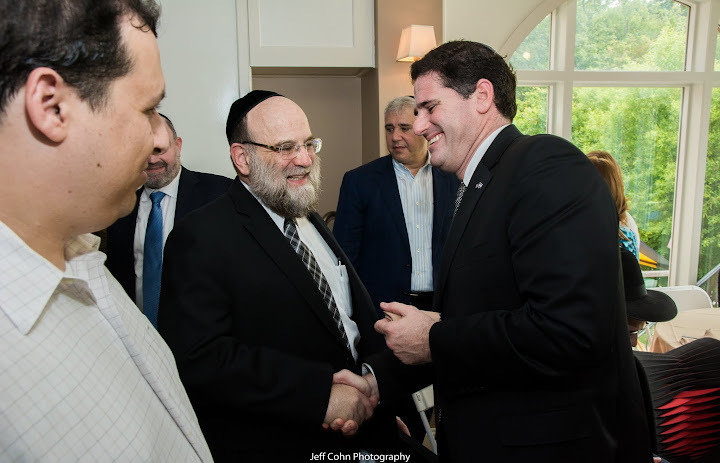 The event and the powerful message delivered by Ambassador Dermer could not have taken place at a more crucial time with the very troubling JCPOA - Iran Nuclear Deal signed two days later in Vienna. 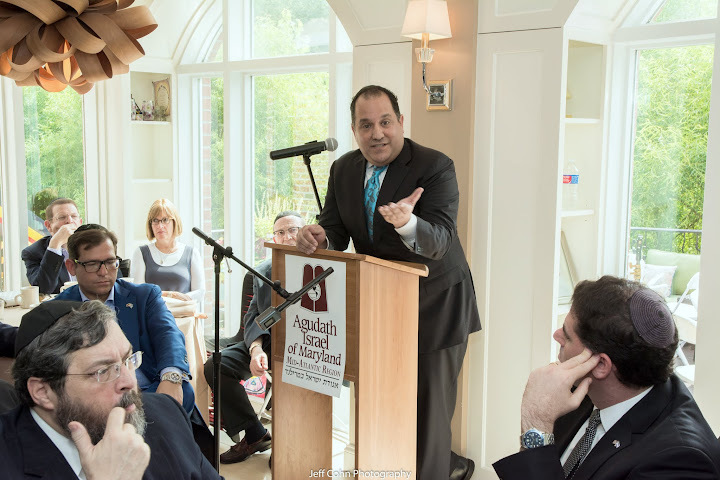 Highlights from AIMD Brunch with Amb. 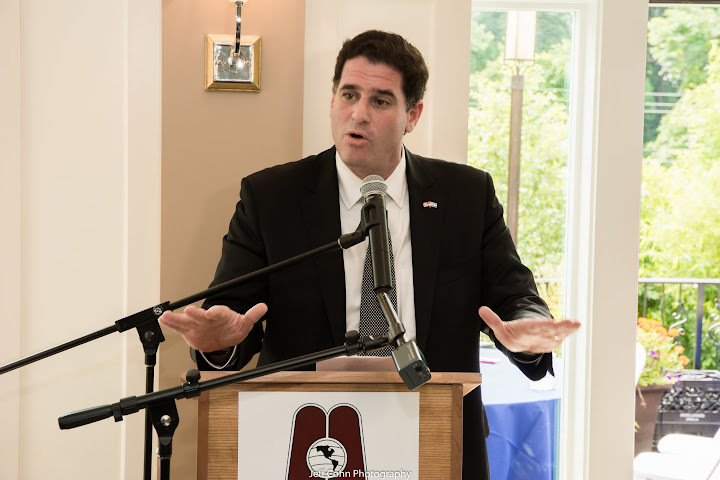 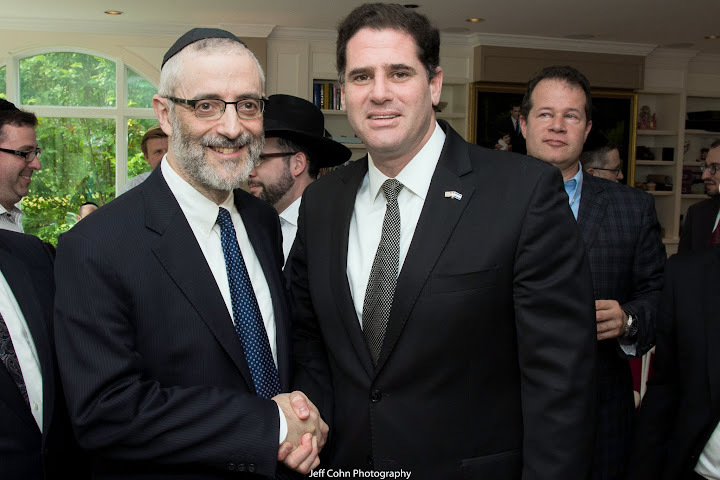 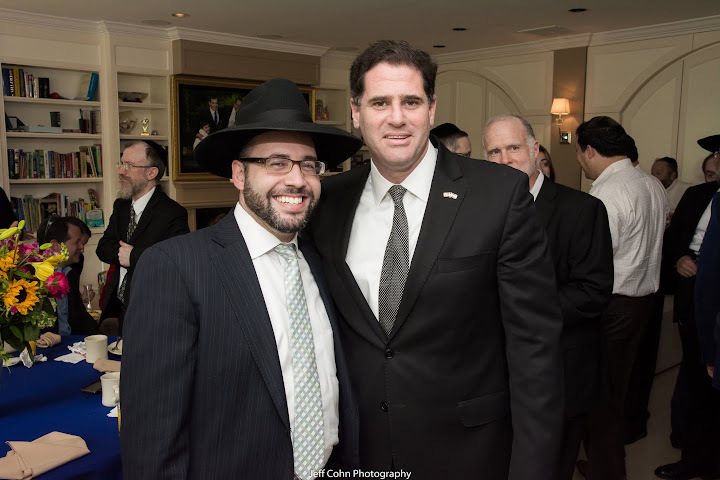 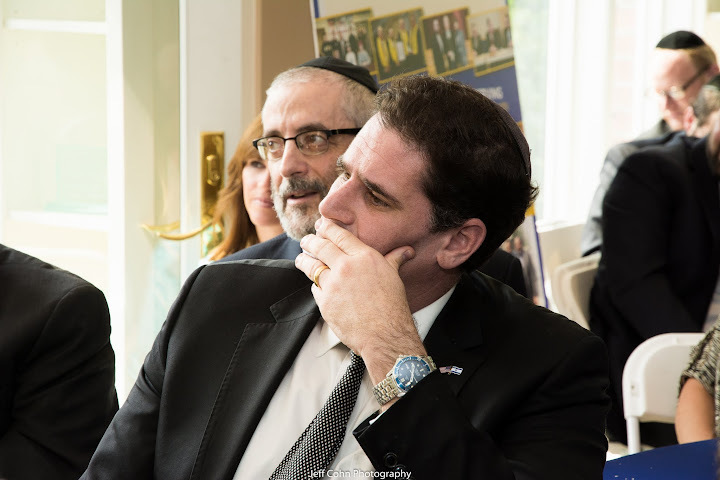 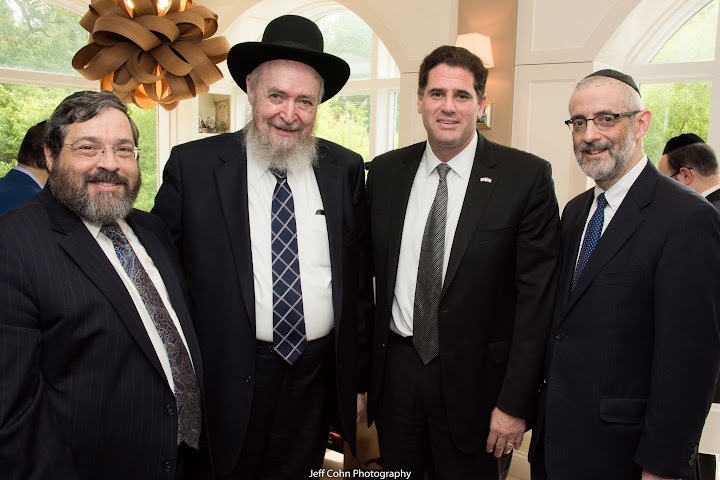 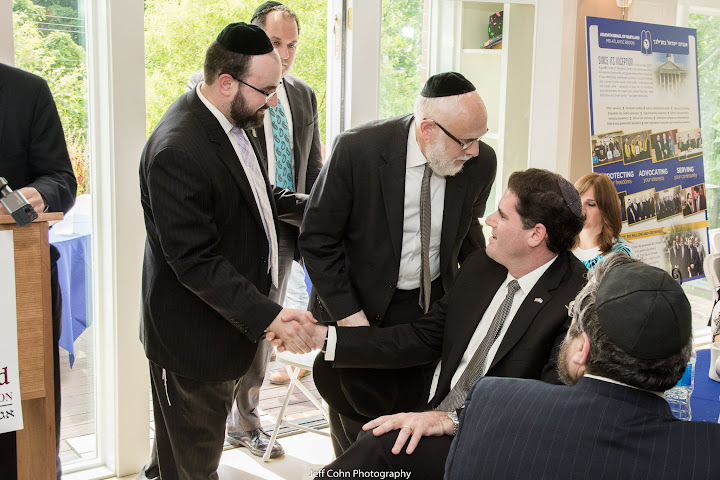 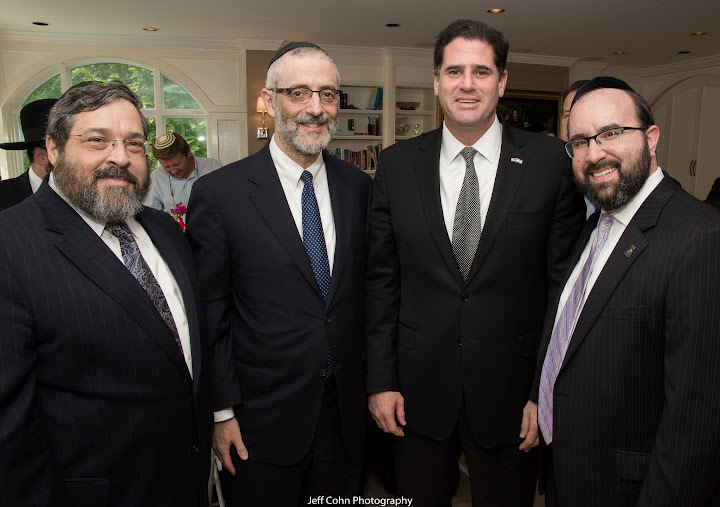 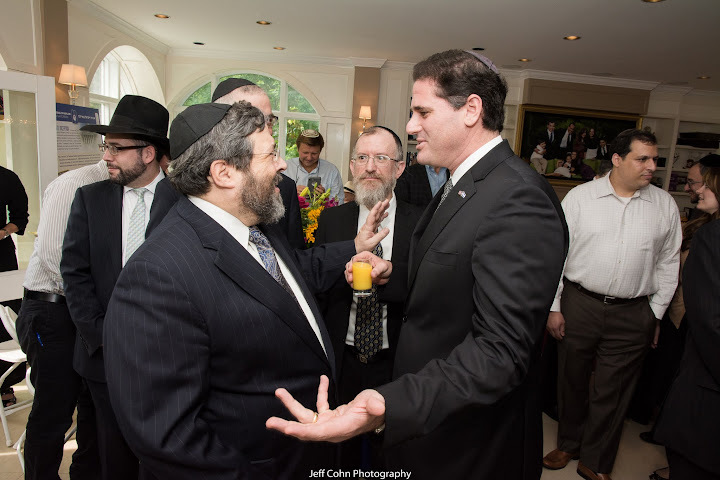 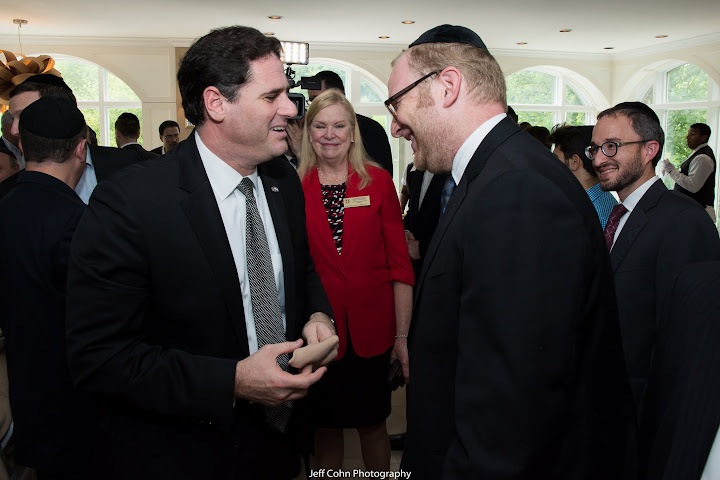 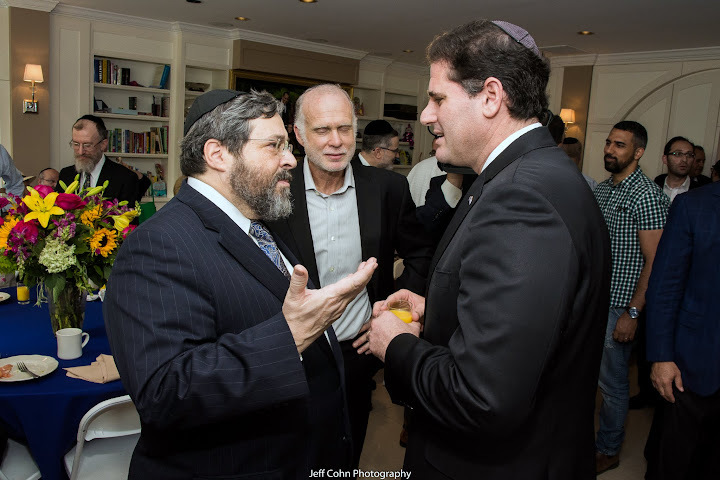 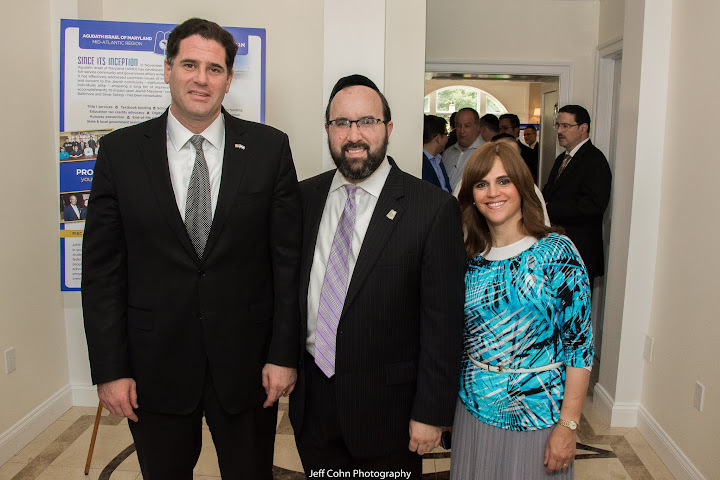 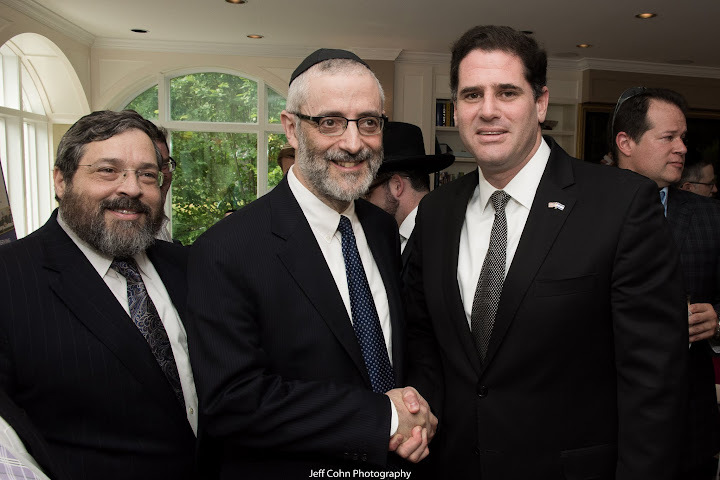 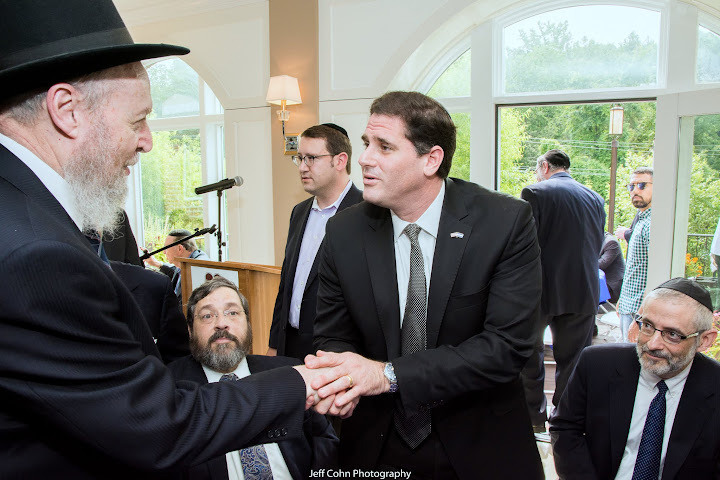 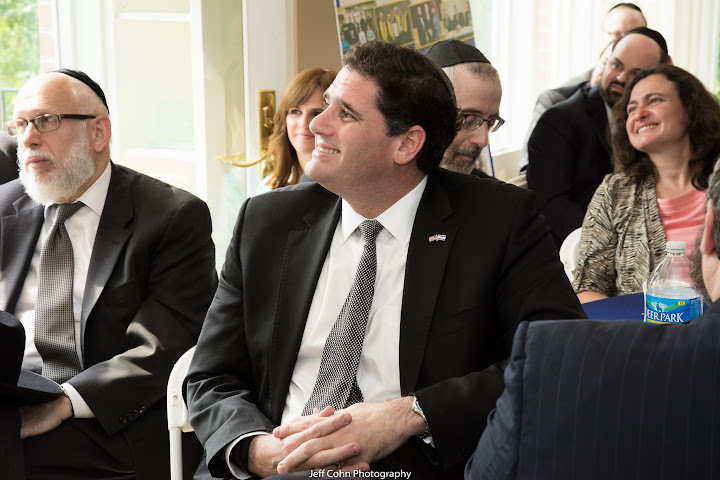 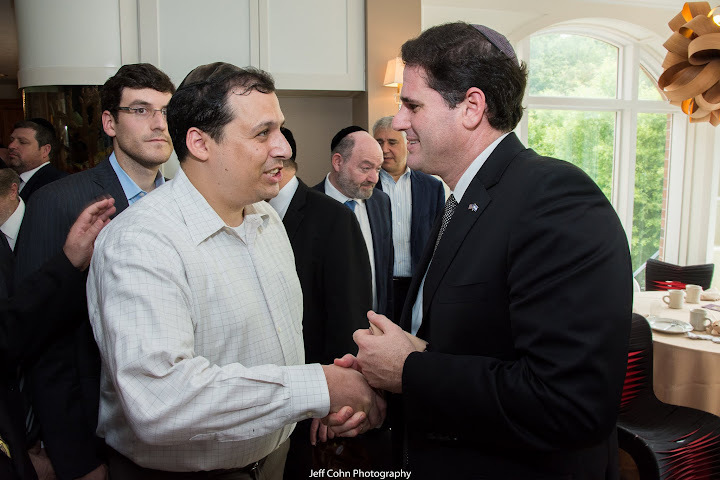 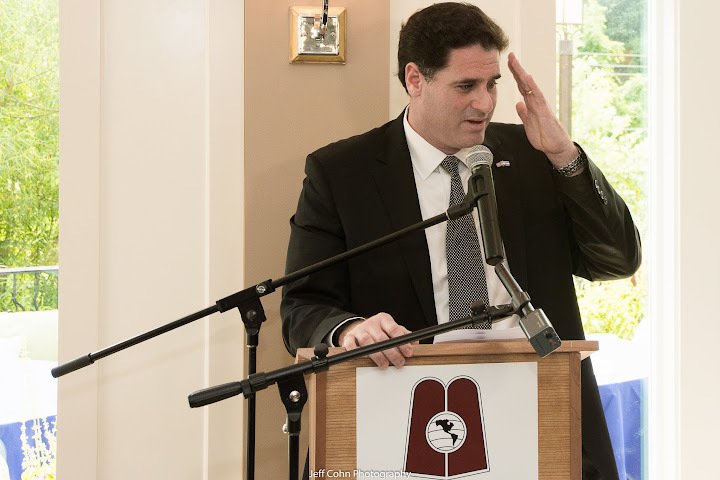 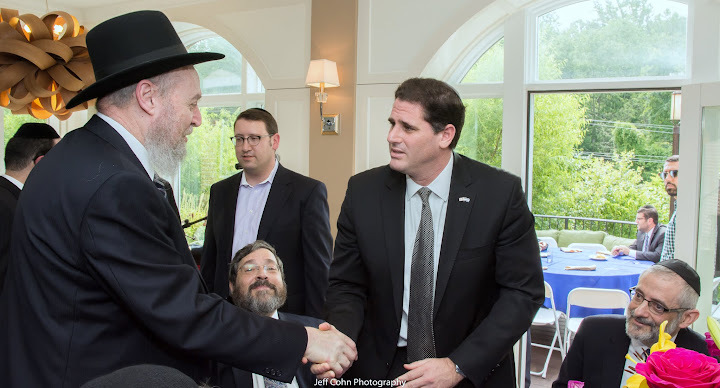 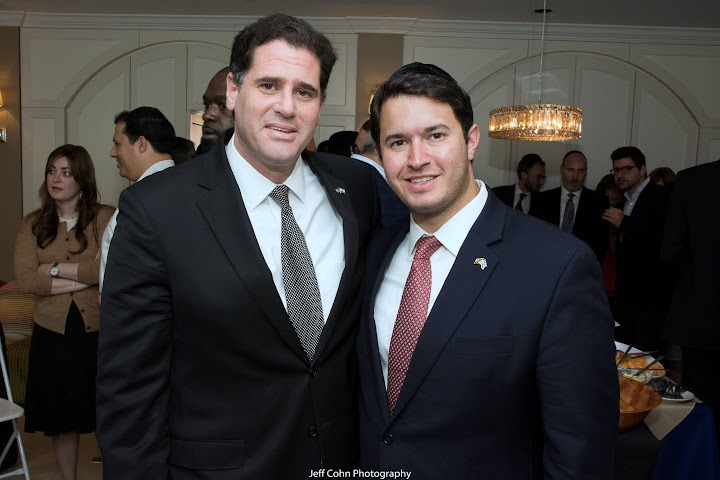 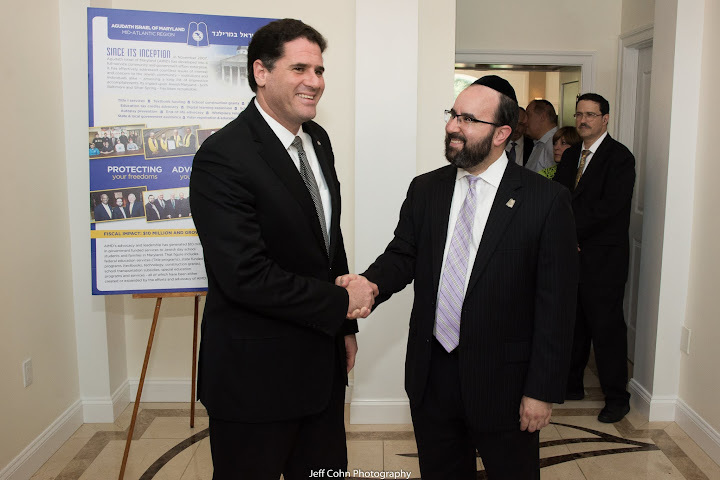 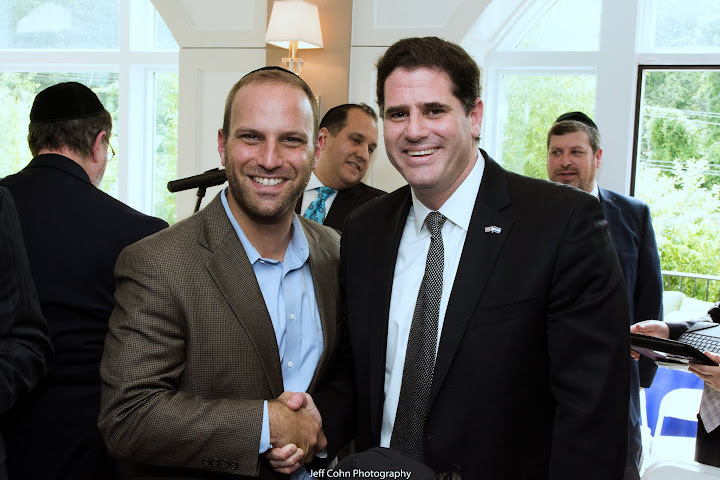 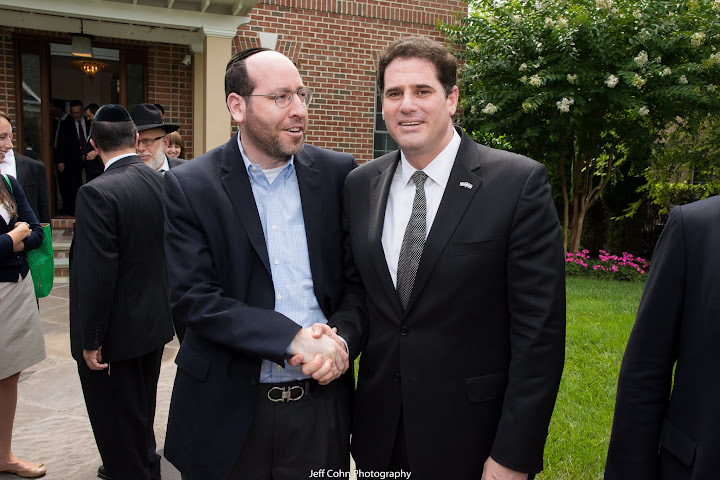 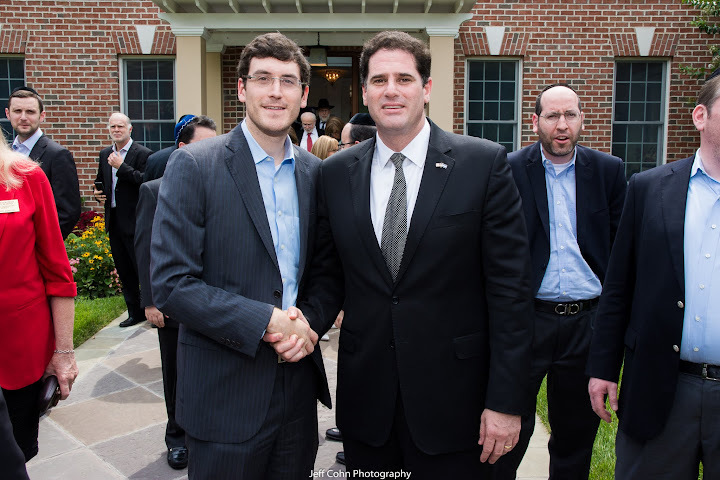 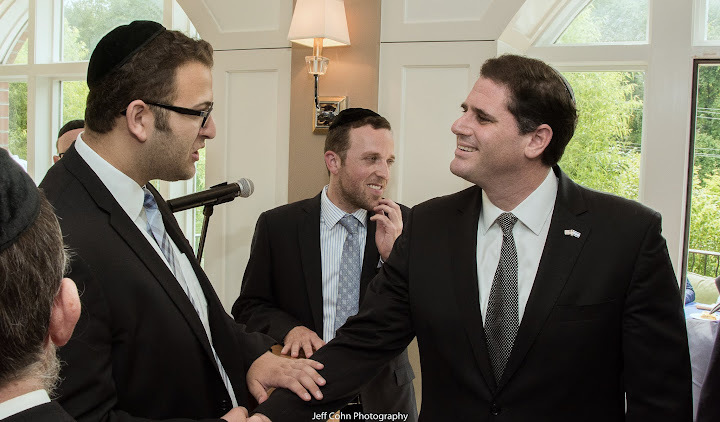 Ron Dermer - 7/12/15 from Agudath Israel on Vimeo. 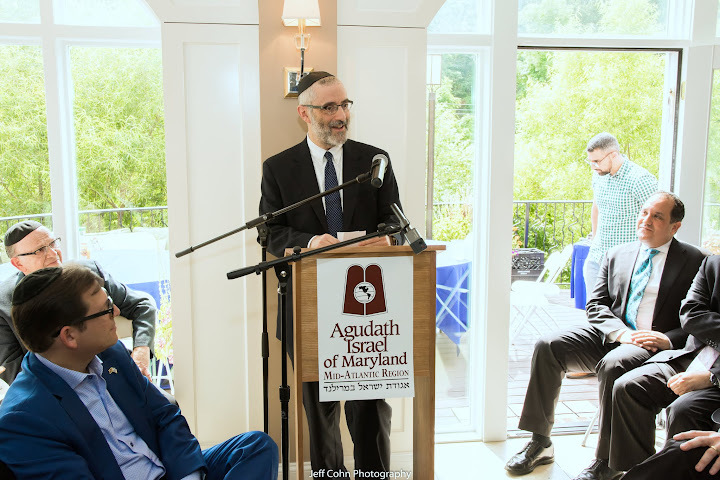 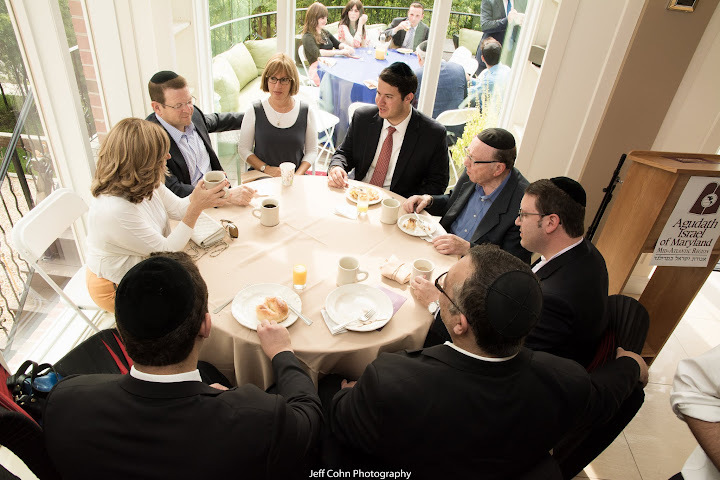 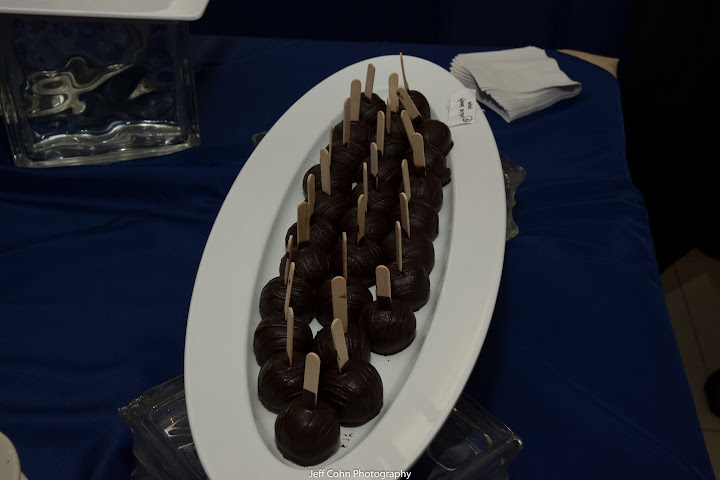 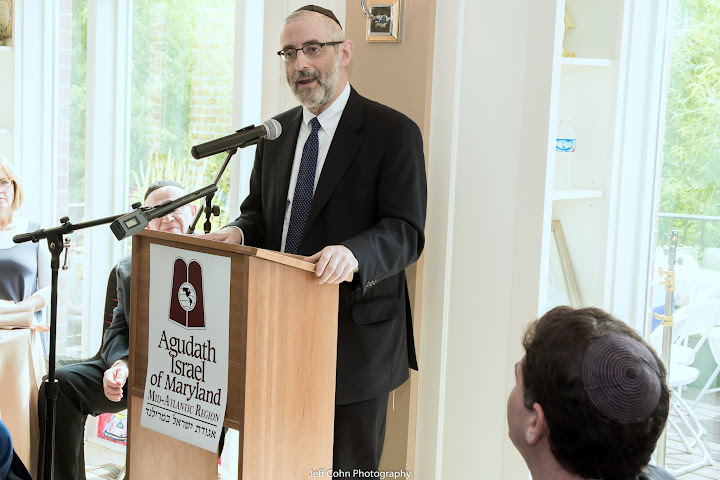 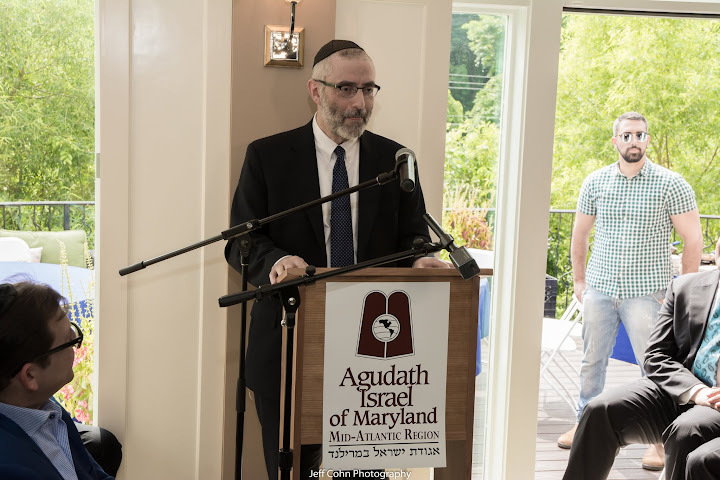 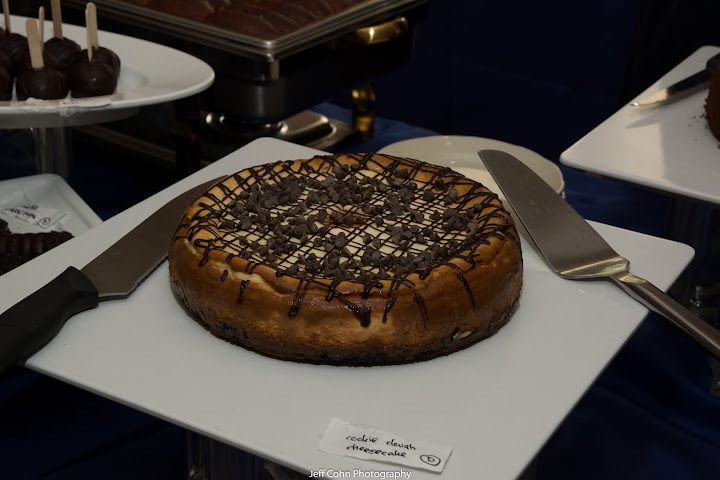 Baltimore, MD - July 15, 2015 - On Sunday morning July 12, Agudath Israel of Maryland held its inaugural benefit brunch. 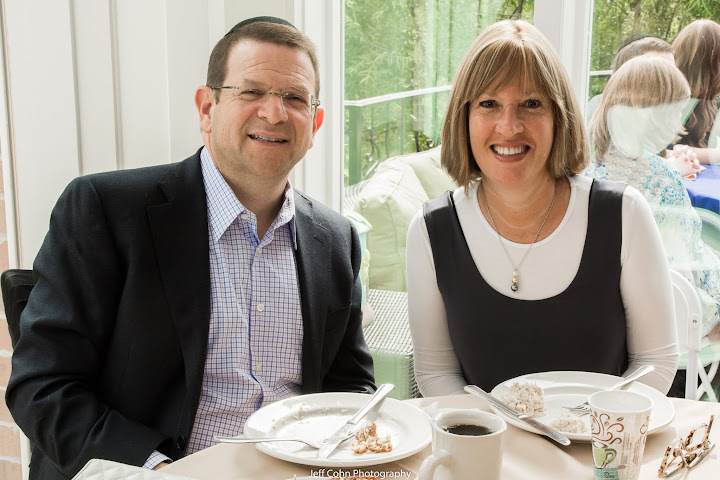 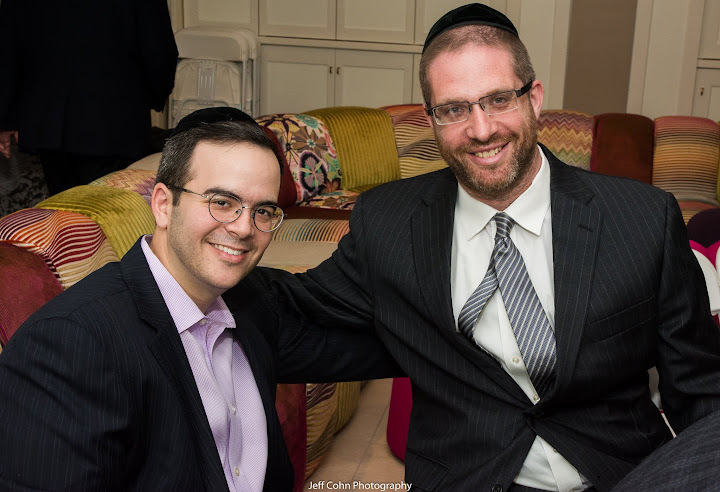 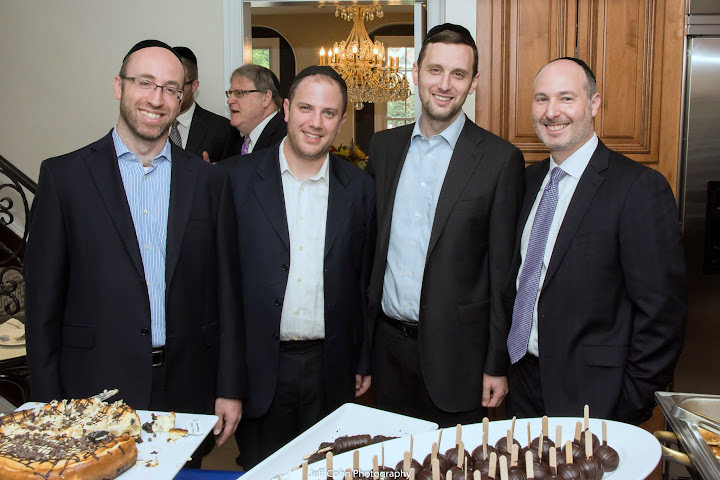 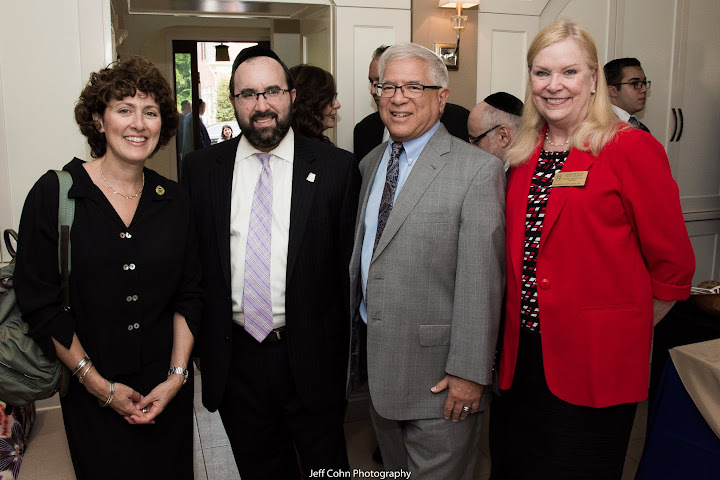 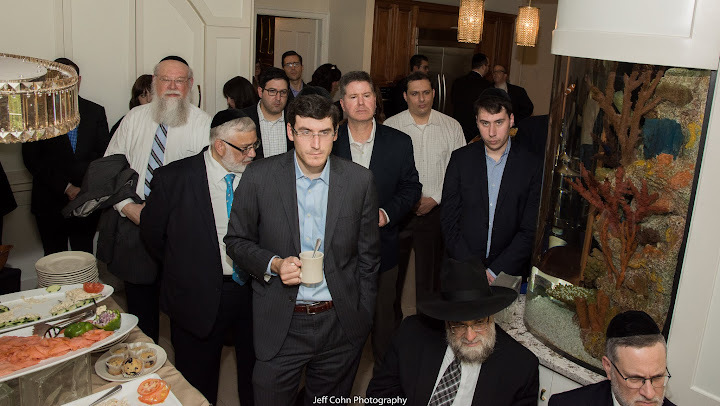 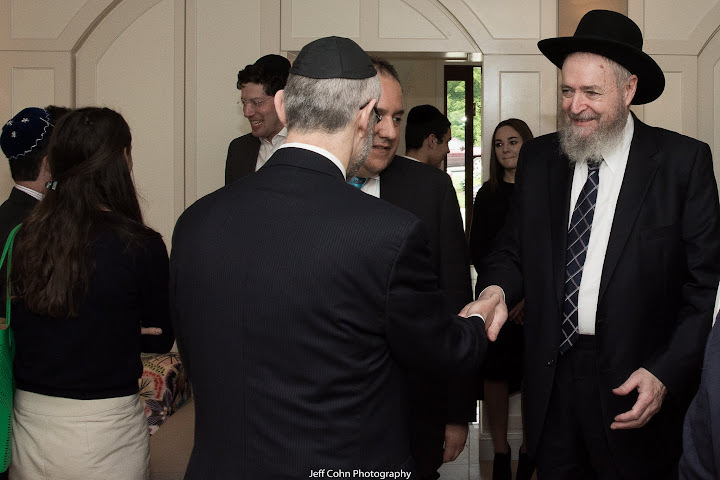 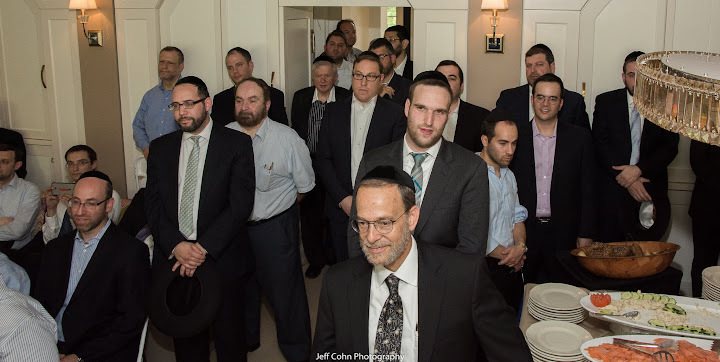 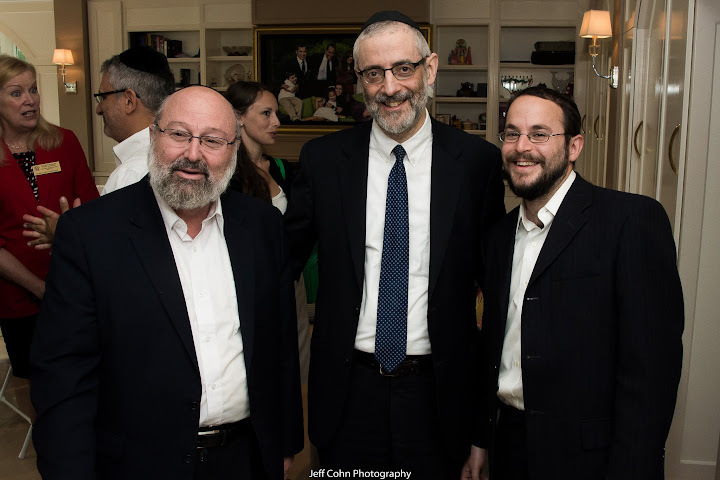 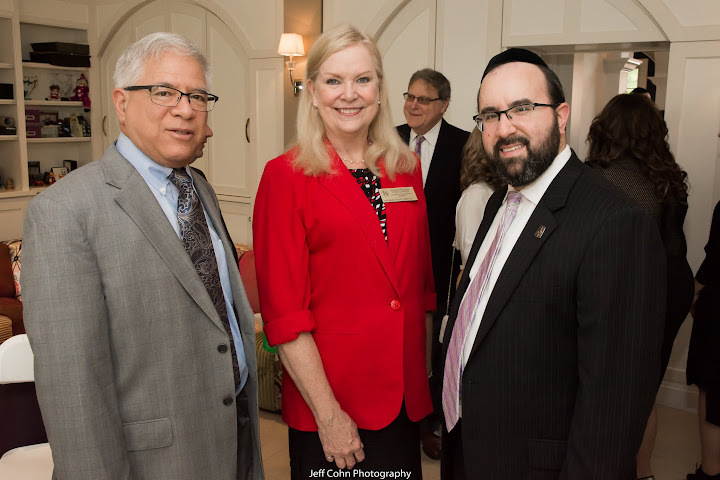 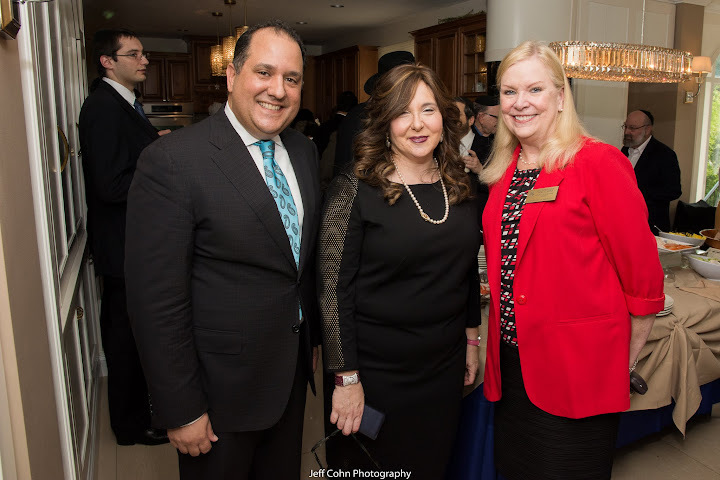 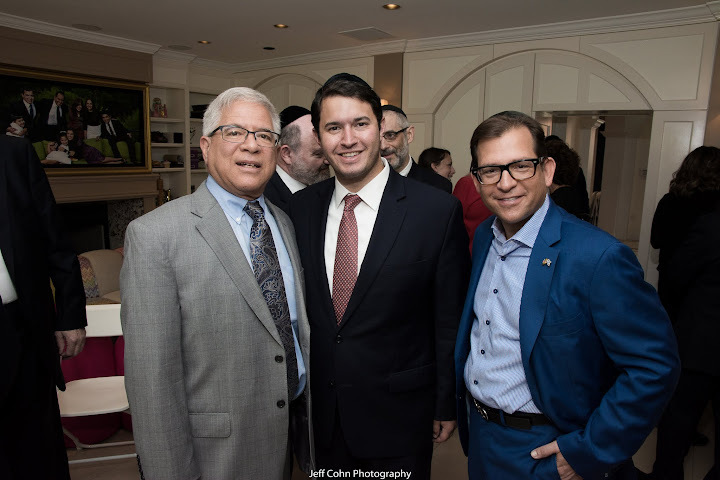 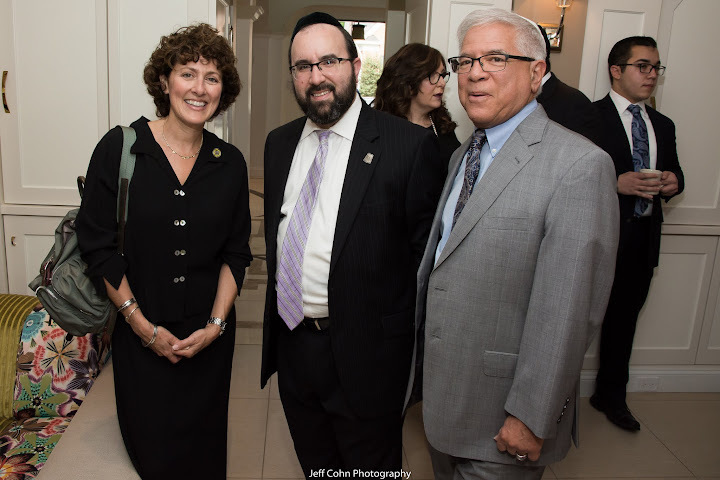 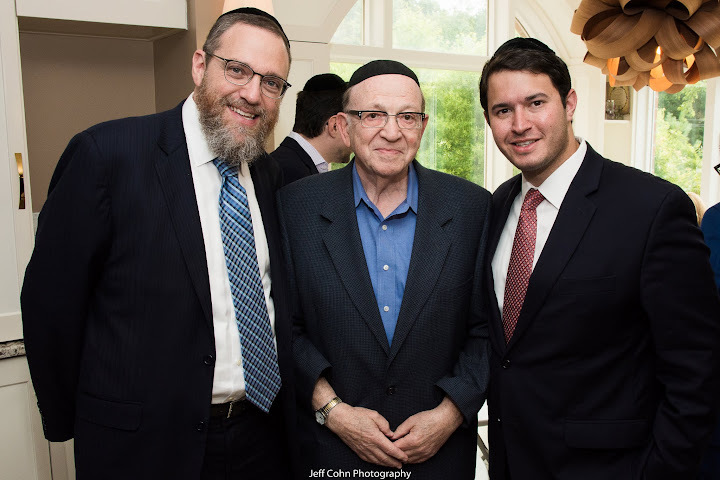 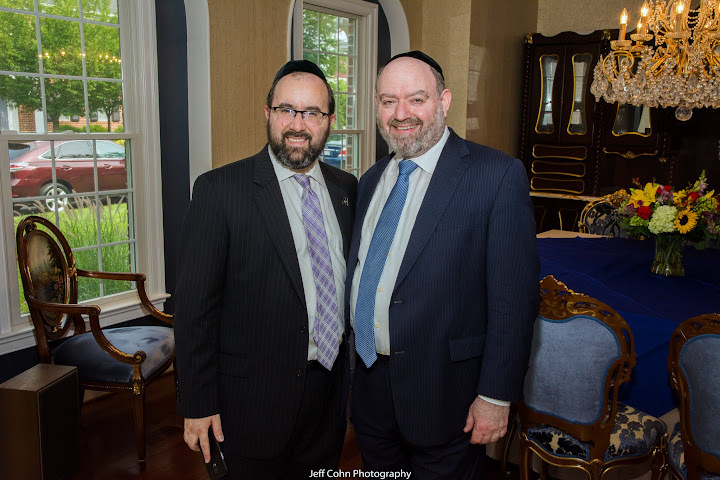 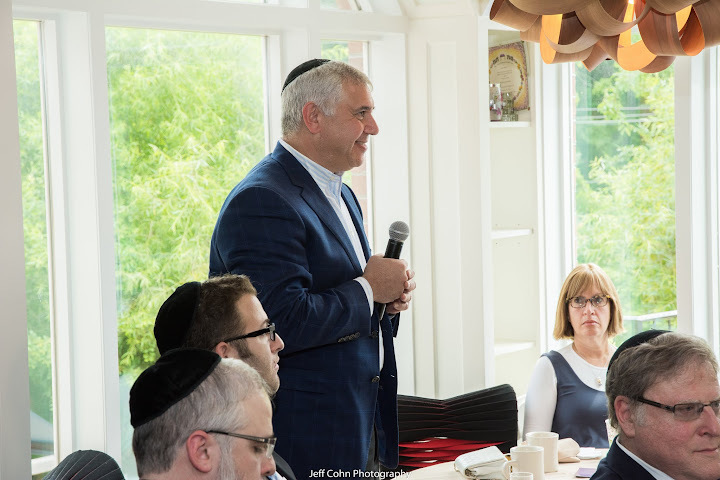 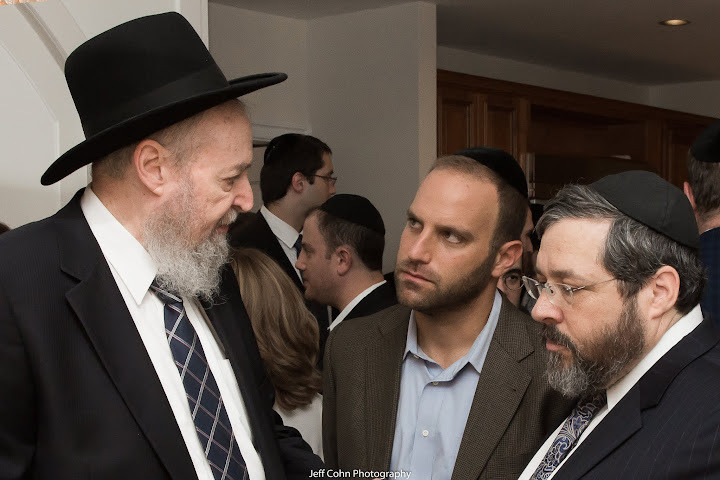 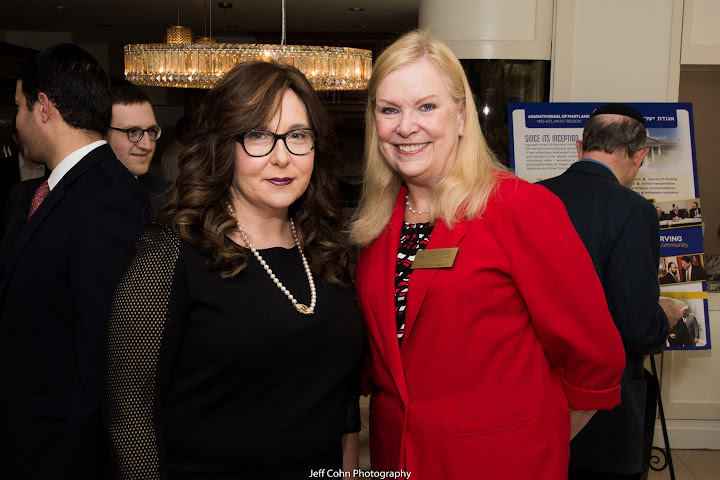 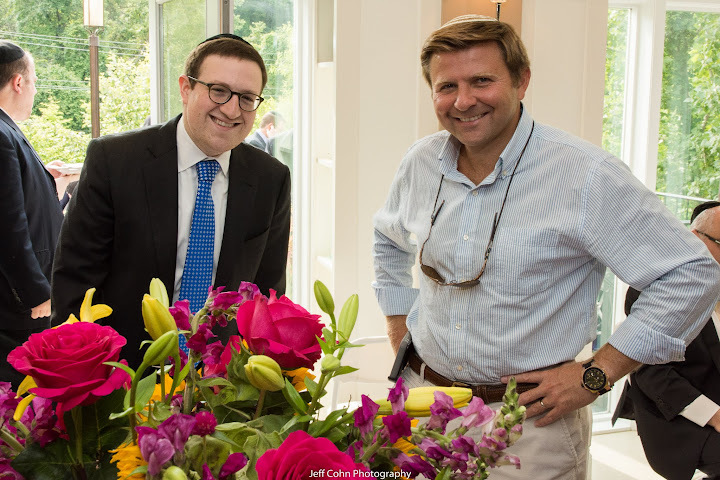 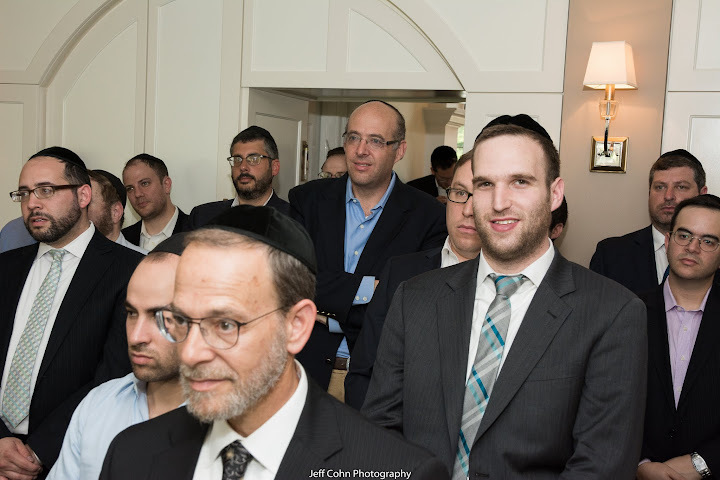 The event took place at the Pikesville home of Rabbi Jeff & Barbara Ifrah and drew a capacity crowd of more than 120 people who came in support of this vital community organization. 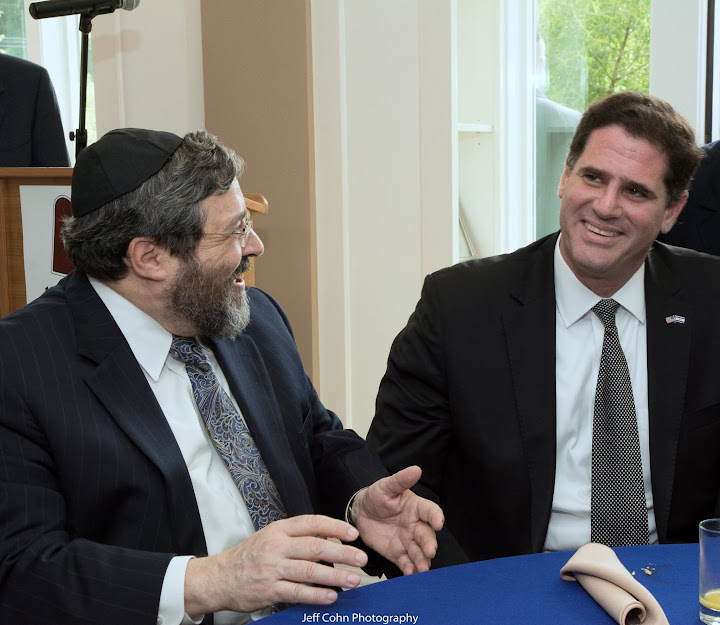 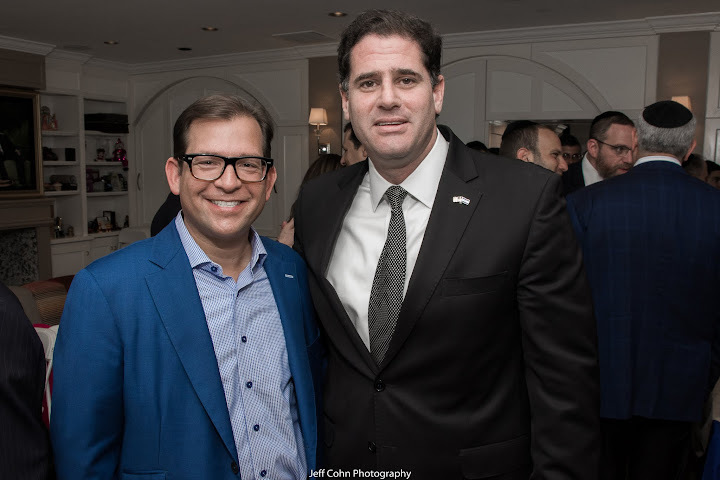 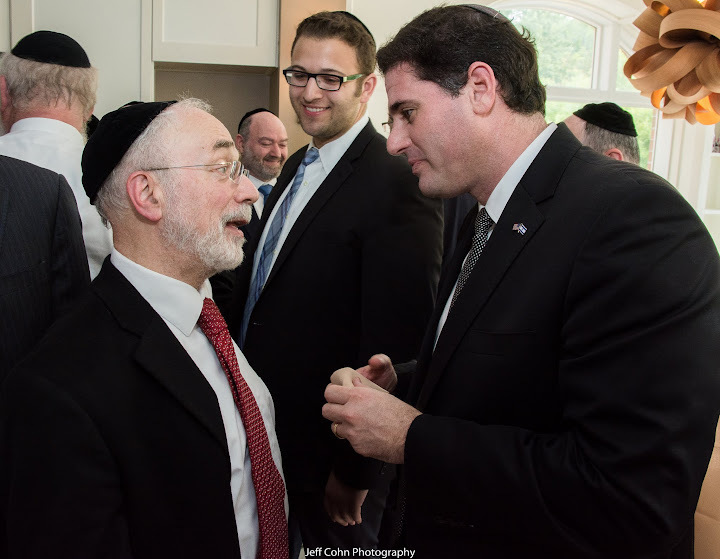 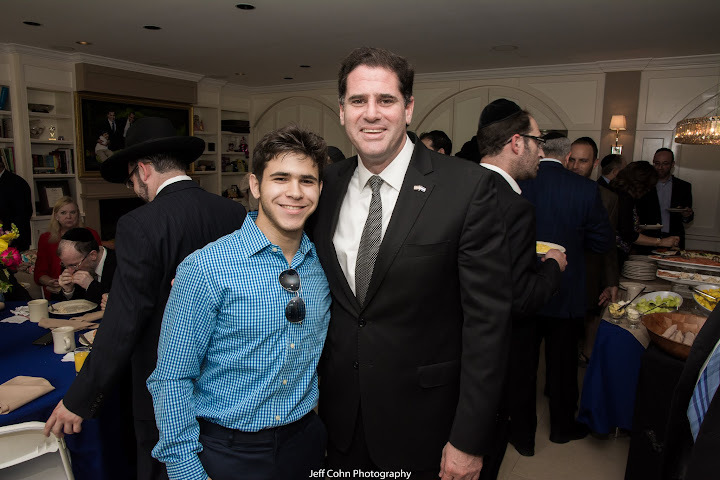 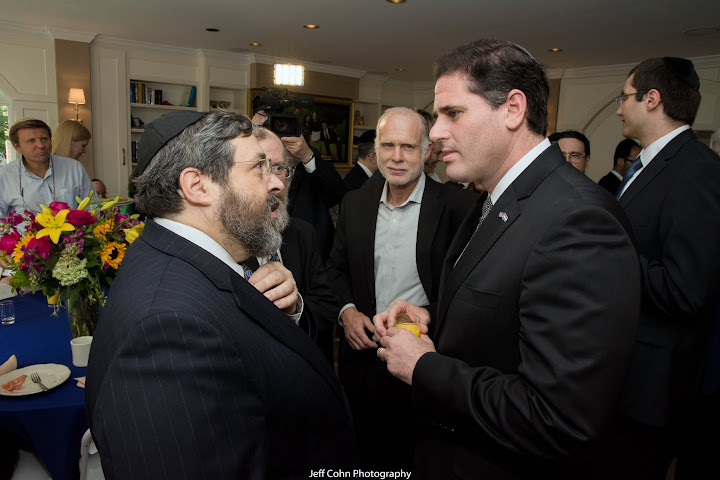 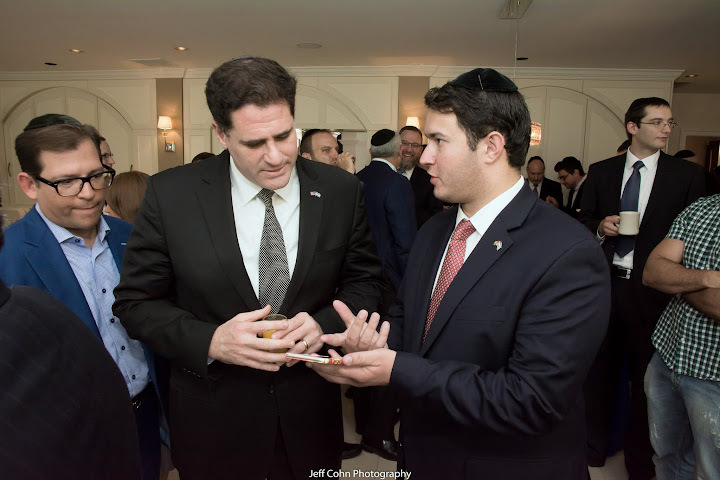 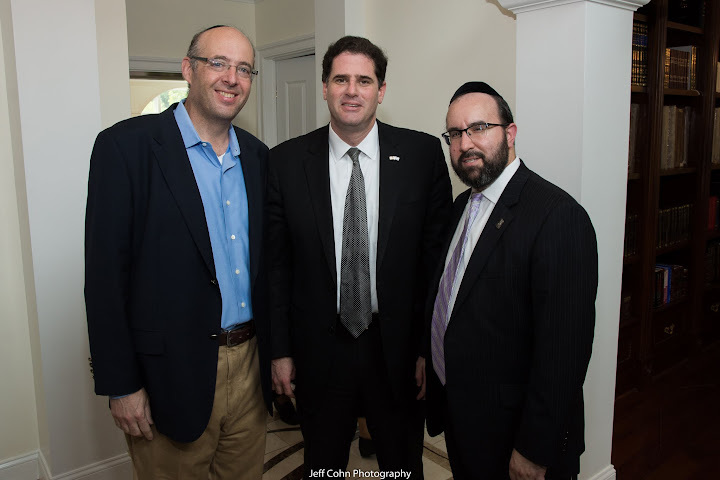 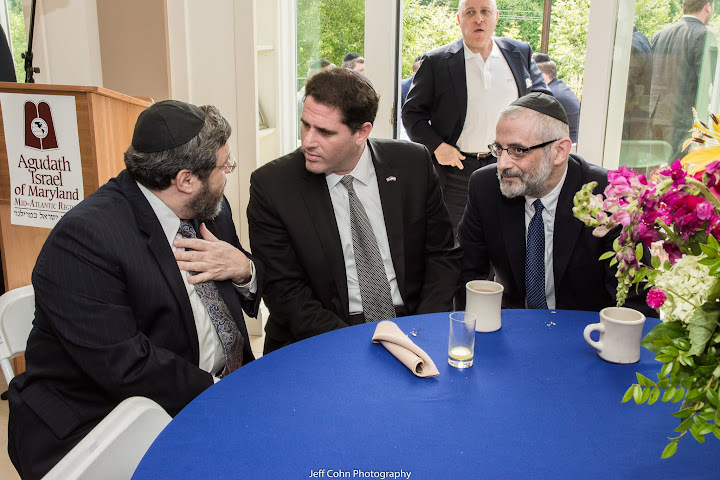 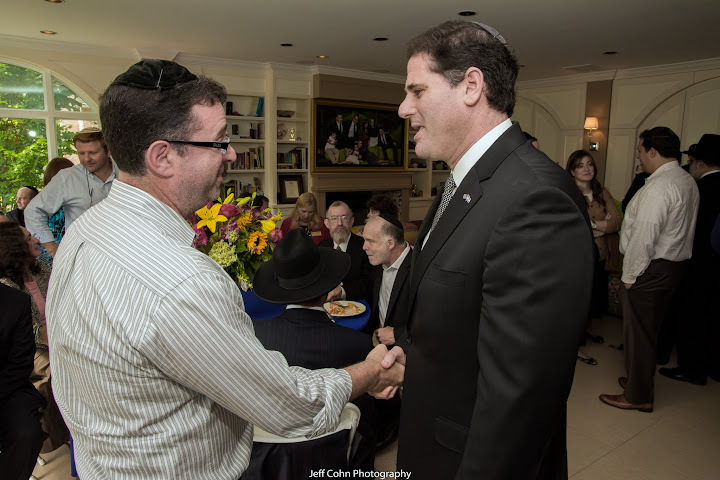 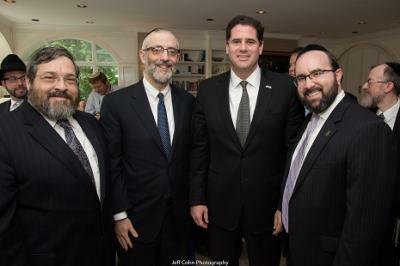 Joining in the event as the featured guest was the Ambassador of Israel to the United States, His Excellency Ron Dermer. 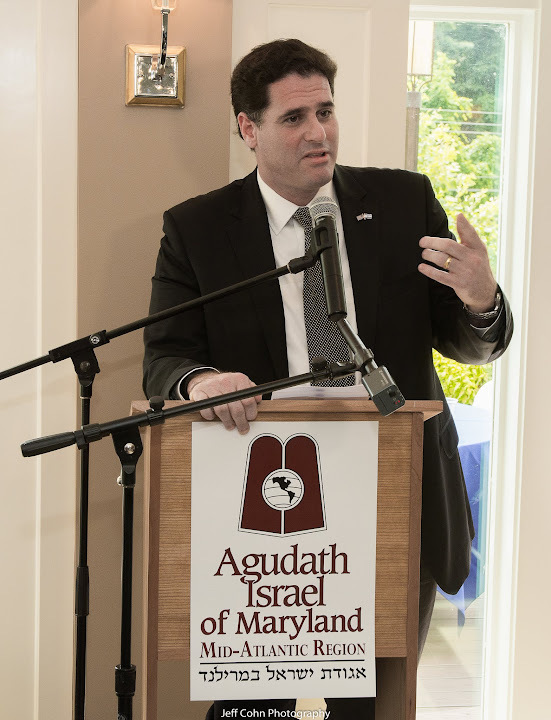 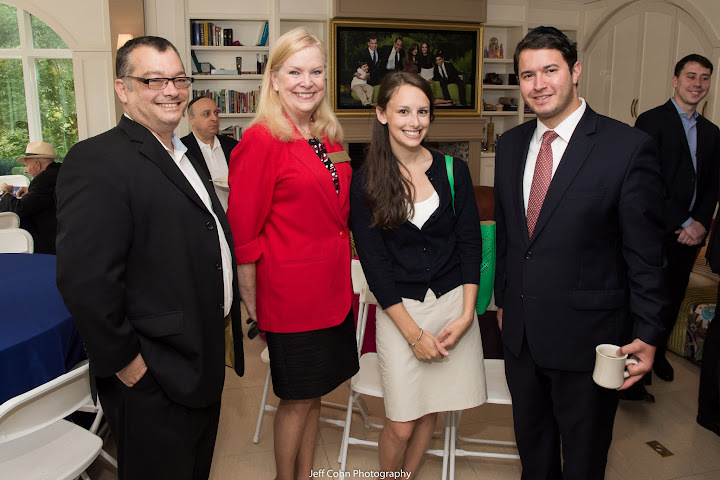 This event marked the first time that the Ambassador has come to interact with the Baltimore Jewish community and its timing was indeed crucial due to all of the Israel-related news going on in the world. 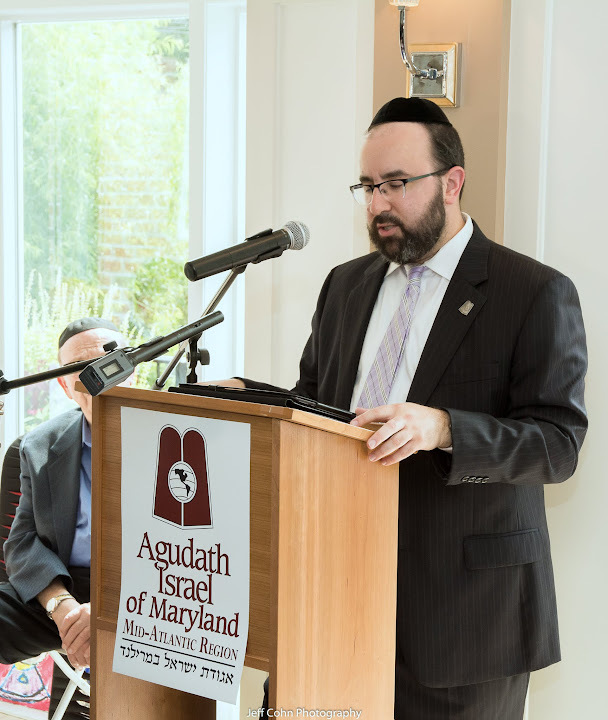 The program began with welcoming remarks from host, Rabbi Jeff Ifrah, who warmly welcomed the entire gathering and shared a D’var Torah on Parshas Pinchas, read the previous day. 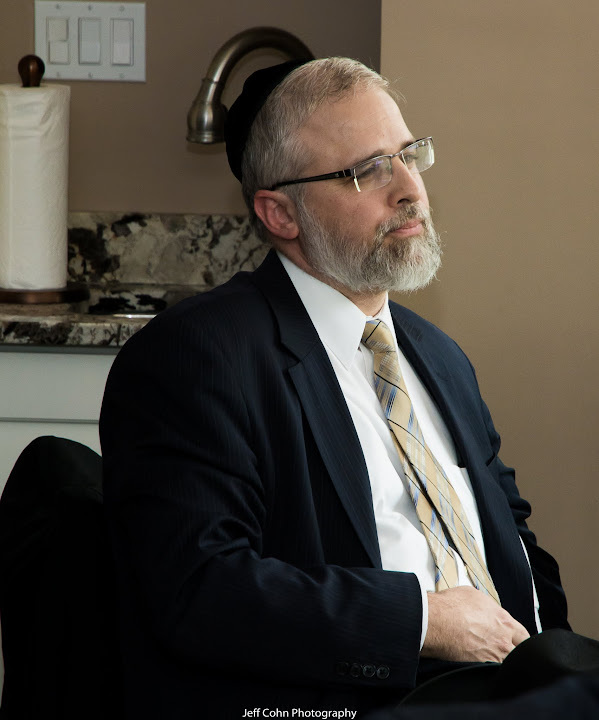 He cited the words used by Moshe Rabbeinu to refer to Hashem as, “Elokei haruchos l’chol bassar ish” (G-d of the spirits of all man) while requesting that Hashem appoint Moshe’s successor. 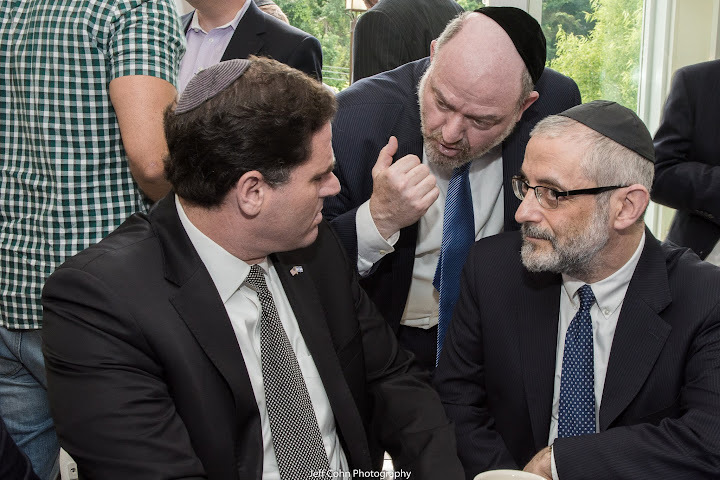 Rashi explains that Moshe was making the request of Hashem that the leader for Klal Yisroel must be a person who is able to tolerate and understand all types of people. 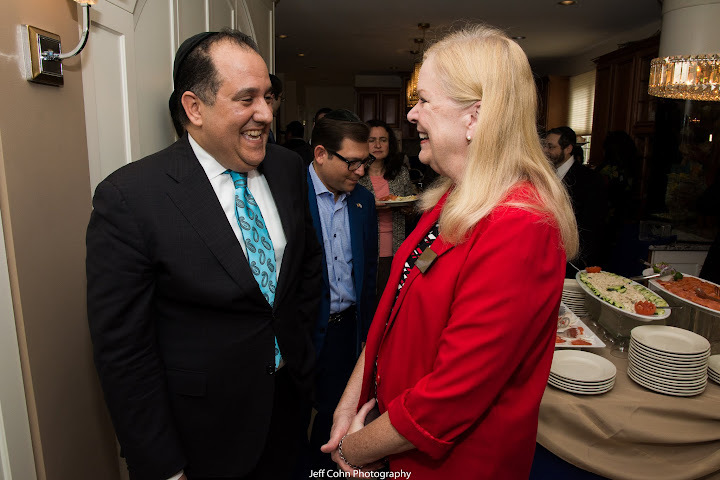 Rabbi Ifrah pointed out that the role of an ambassador is precisely that, in that he needs to be able to understand and communicate with an endless array of people from all walks of life in order to properly represent his country and his people. 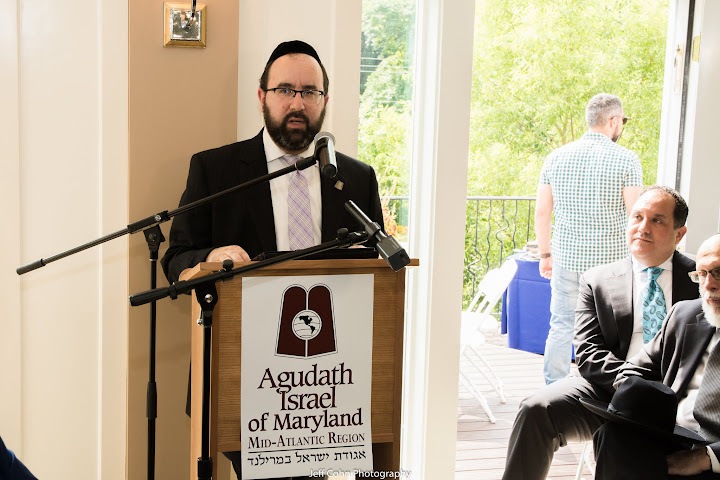 He then introduced Rabbi Ariel Sadwin, Director of Agudath Israel of Maryland, who acknowledged all those who were involved in putting together such an impressive event in a short amount of time. 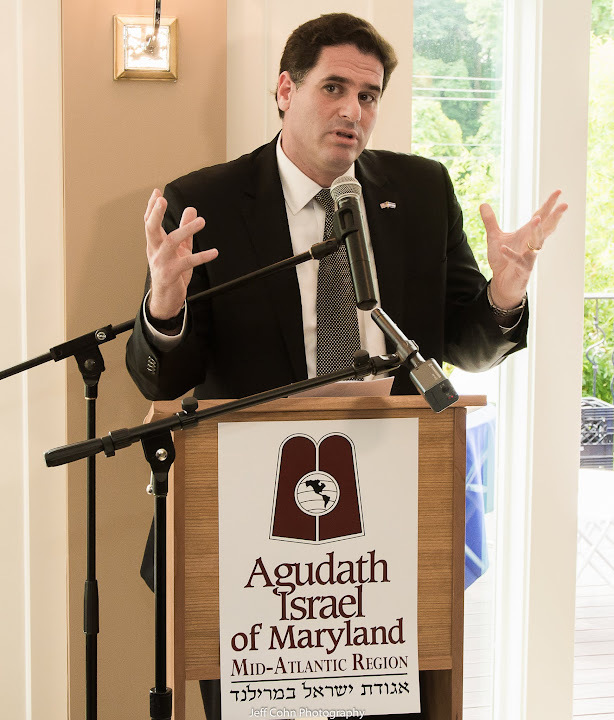 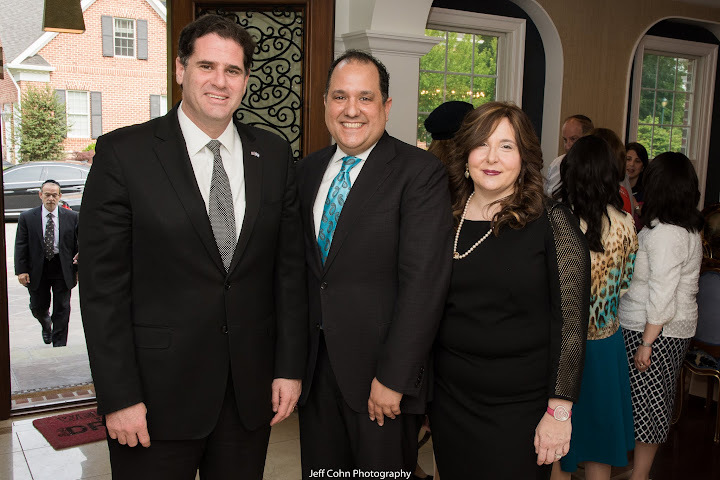 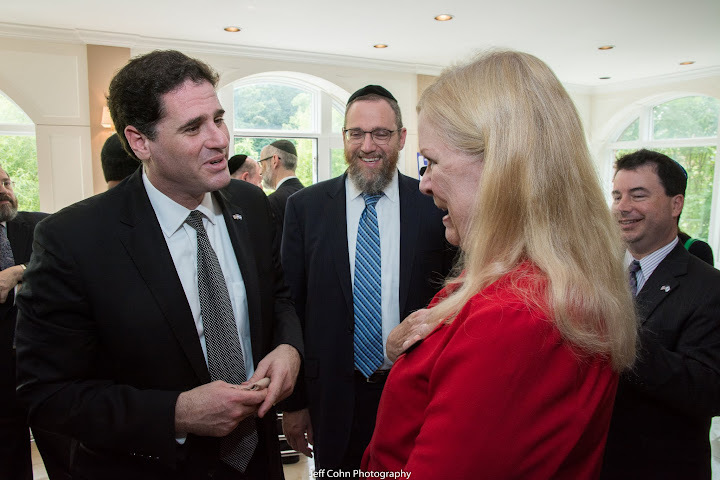 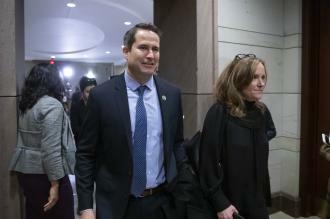 In addition to thanking the Israeli Embassy for making the necessary arrangements to enable Ambassador Dermer to participate, he acknowledged the presence of the ambassador’s wife, Mrs. Rhoda Dermer (nee Pagano) a former Baltimorean and alumna of Bais Yaakov High School (class of ’92). 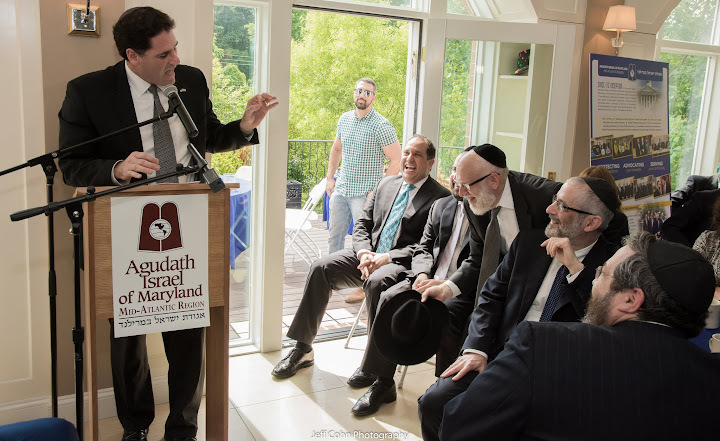 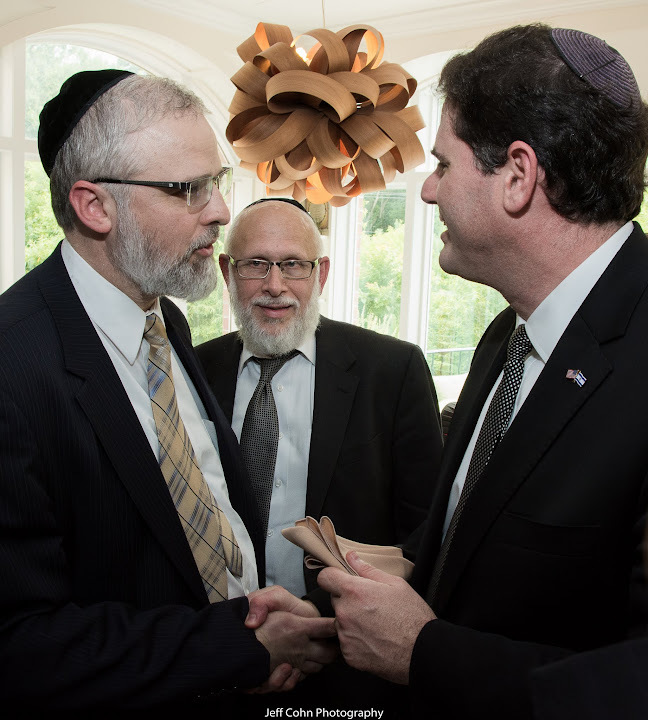 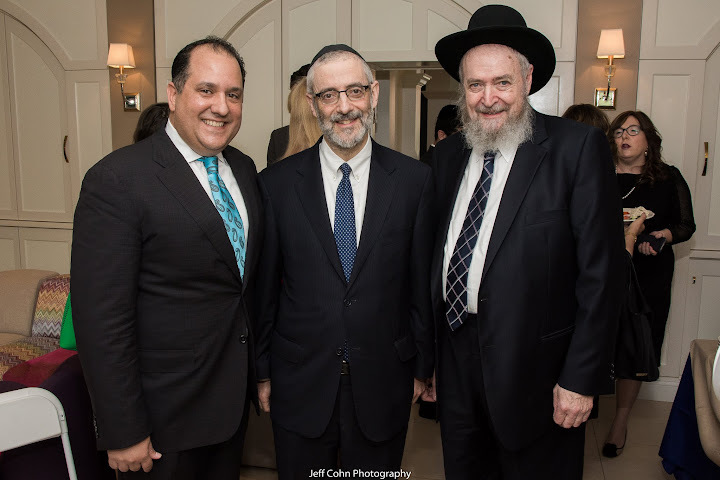 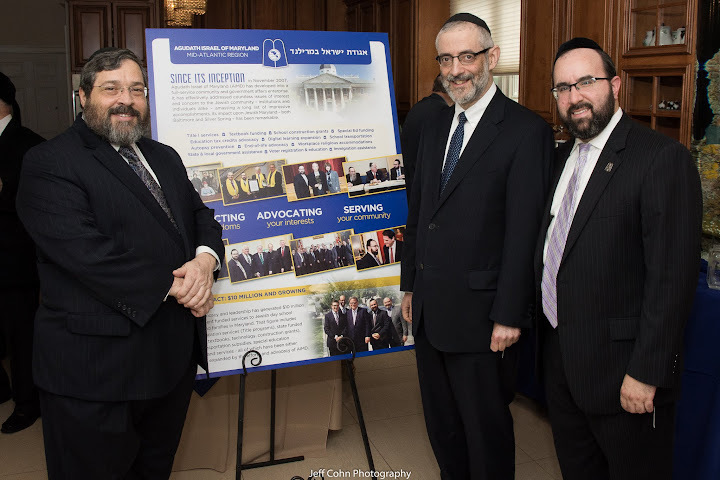 Rabbi Sadwin lauded the impressive talents the Ambassador displays even while dealing with some of the most difficult and hostile situations as the spokesman for the State of Israel, as a true Kiddush Hashem. 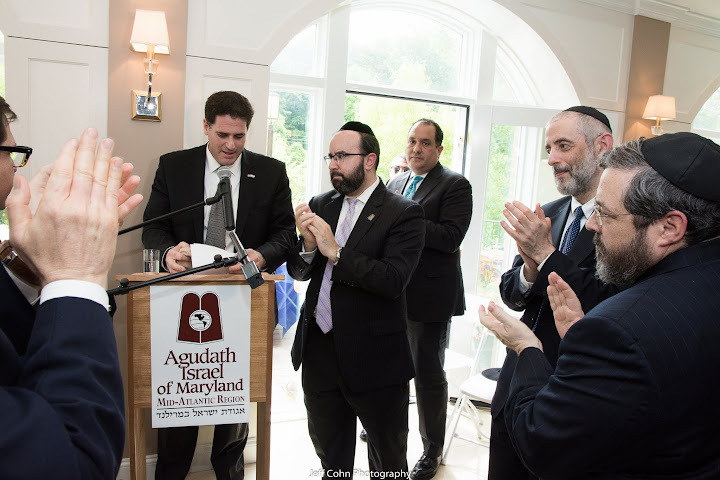 He then introduced Rabbi Chaim Dovid Zwiebel, Executive Vice President of Agudath Israel of America, who traveled in from New York to honor the gathering. 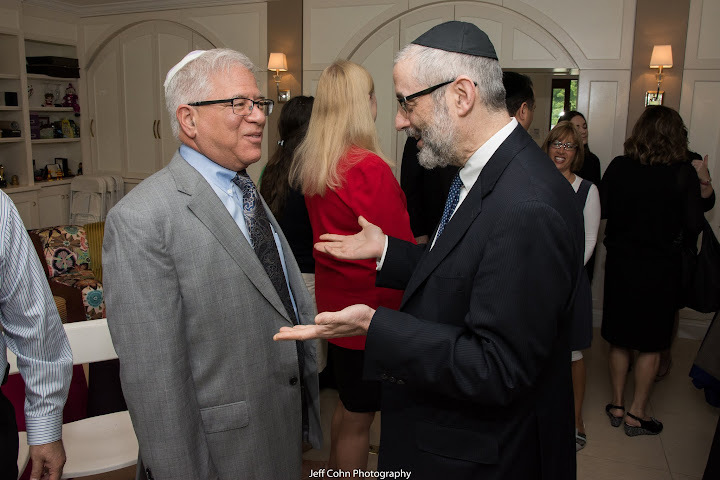 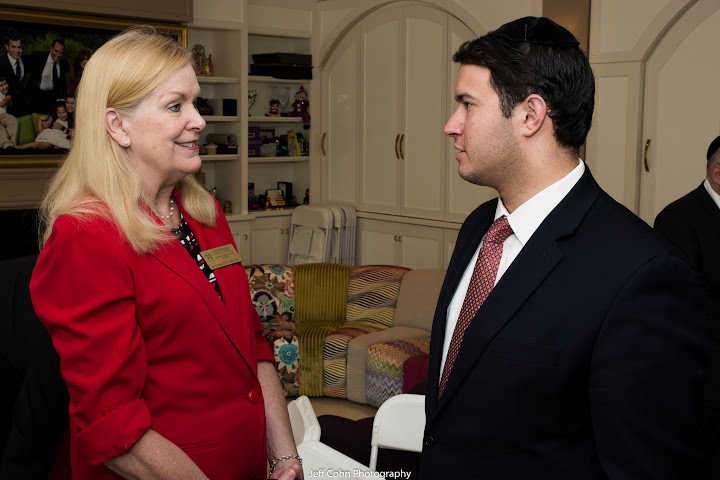 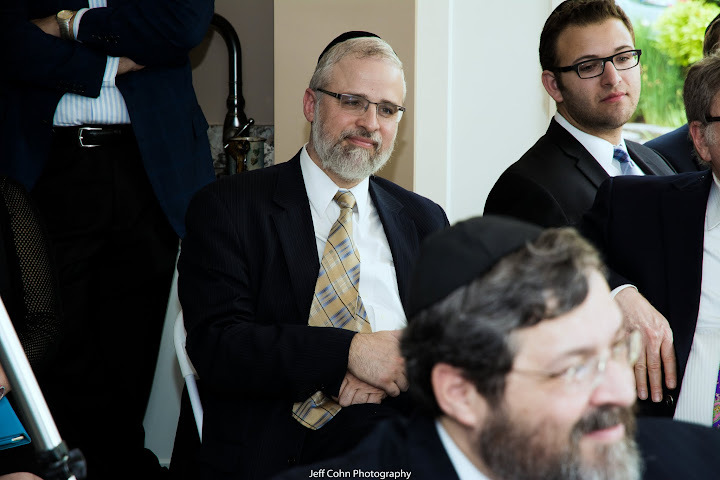 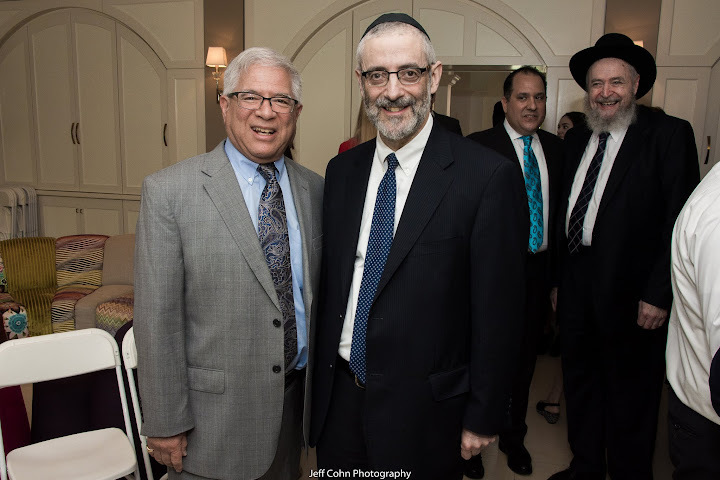 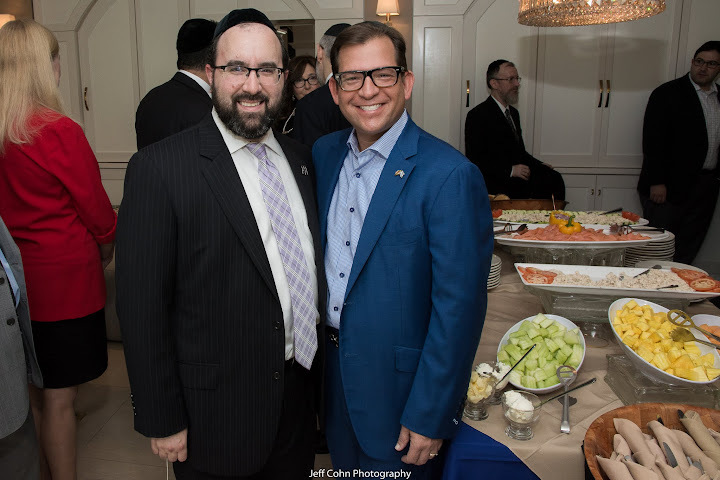 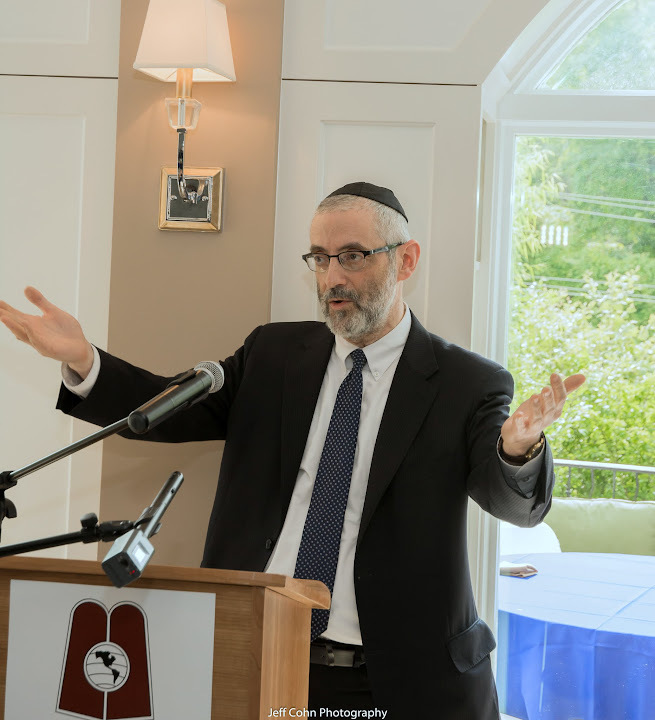 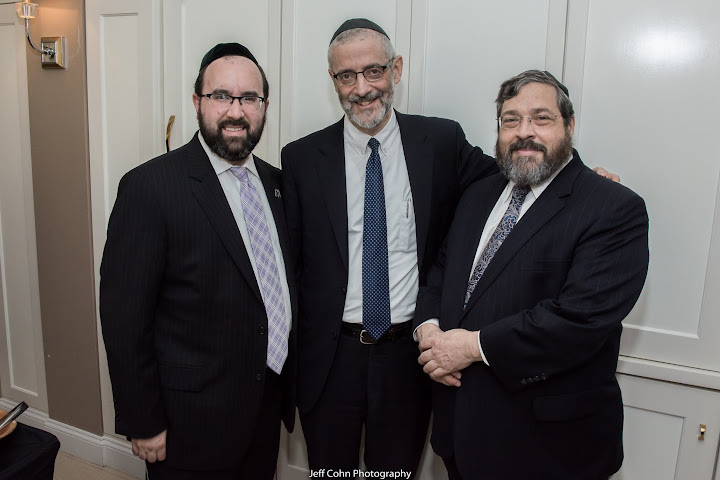 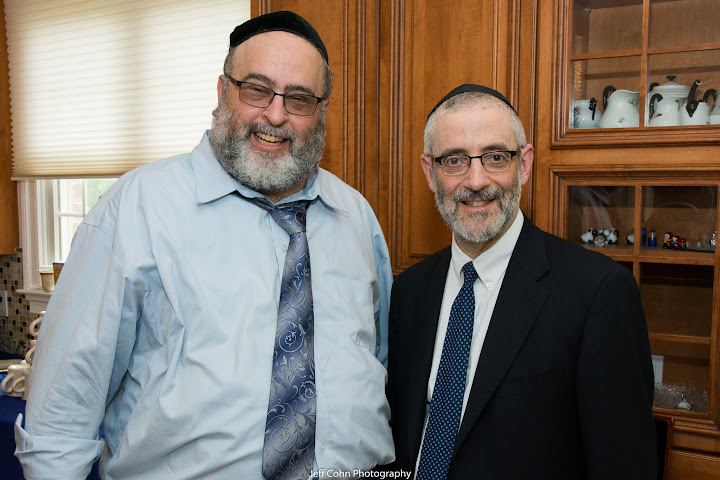 Rabbi Zwiebel went through some of the many impressive accomplishments thus far in the Ambassador’s career – as a means to familiarize the gathered with the Ambassador. 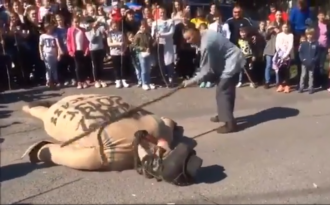 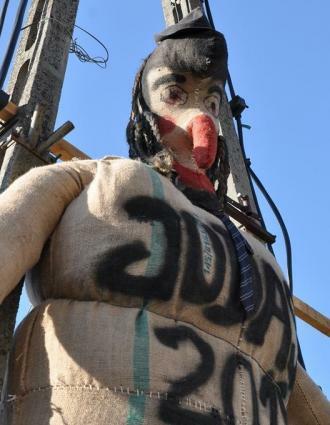 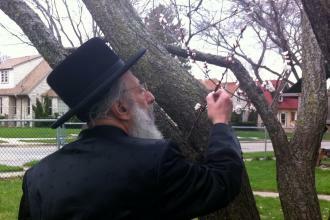 He then proceeded to familiarize the special guest with his audience - the Orthodox Jewish community of Baltimore. 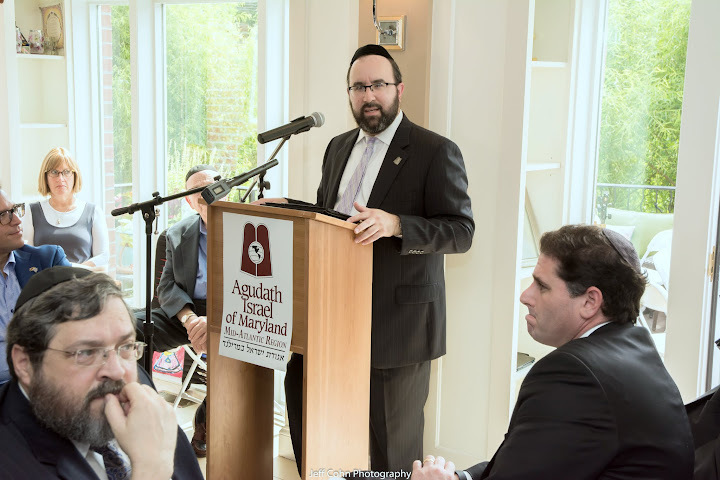 He firmly stated that it is indeed the Orthodox Jewish community which is the core constituency for whom the Ambassador should impart his message. 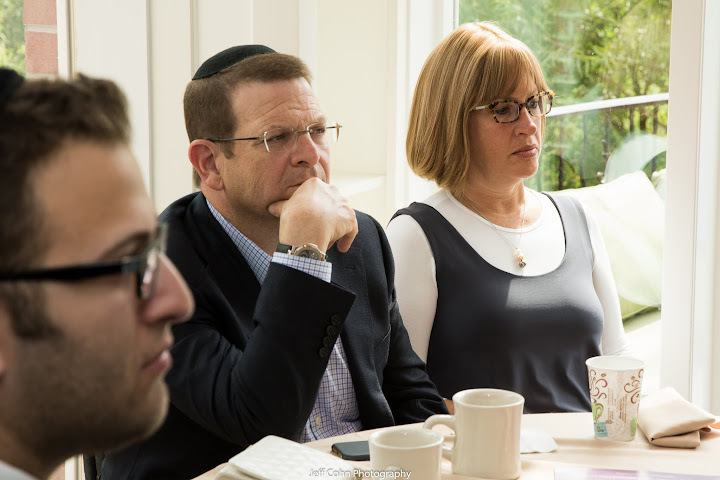 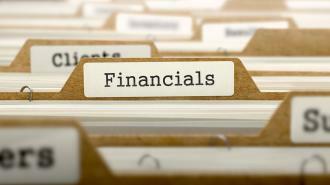 Citing a survey done by the New York Jewish Week newspaper, a cross-section of secular American Jews were asked to list the items that concerns them the most as Jews. 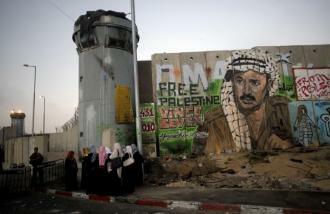 Alarmingly, the safety and security of Israel was way down on the list. 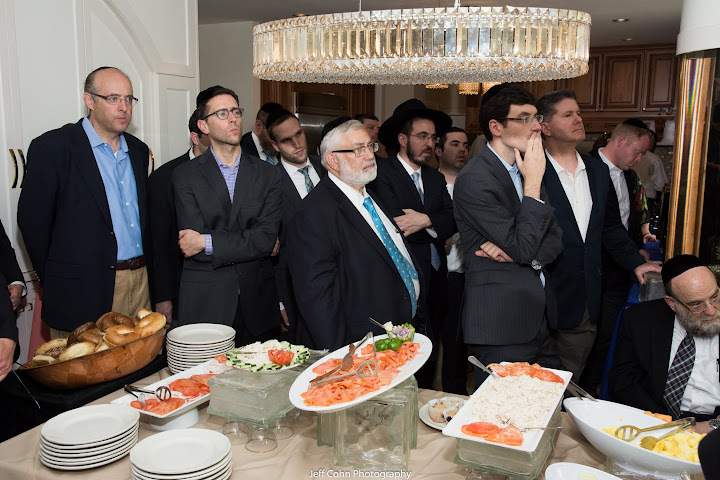 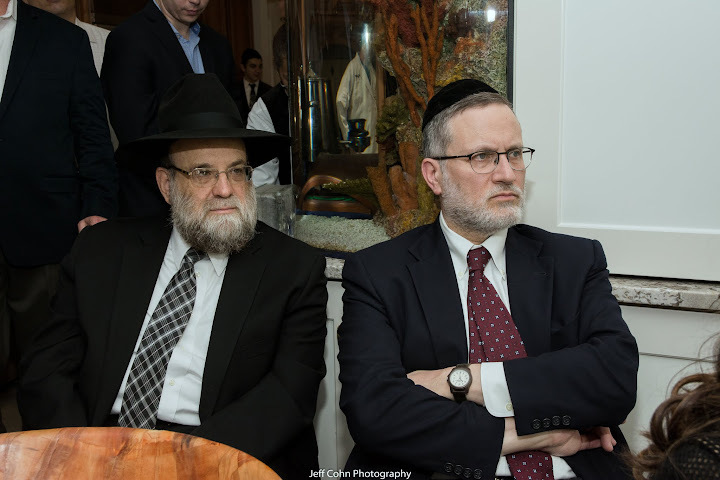 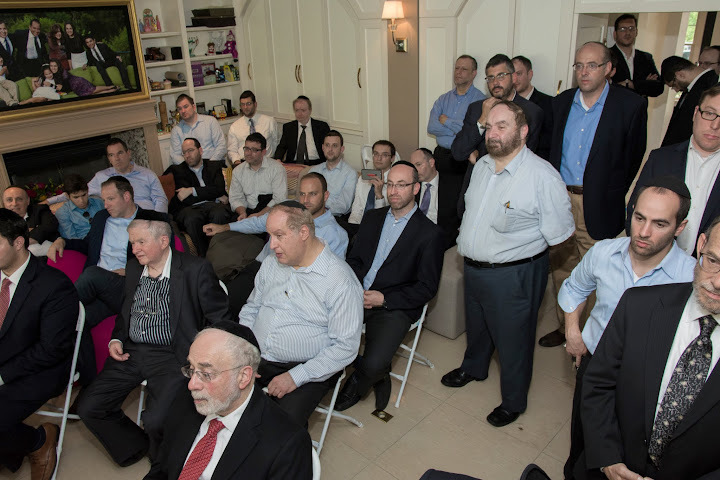 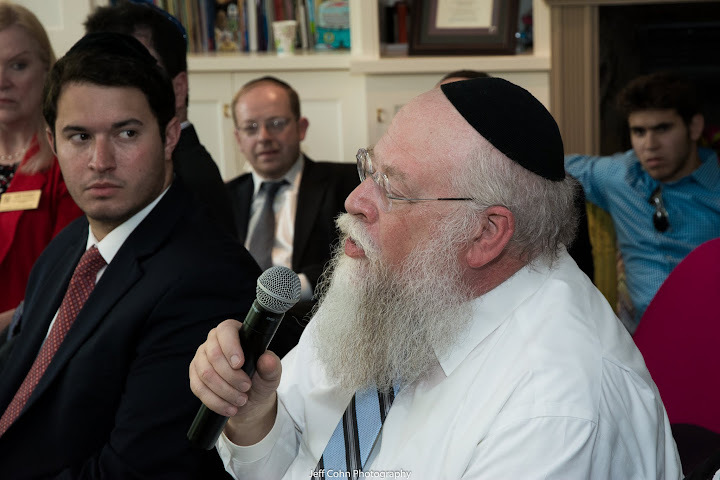 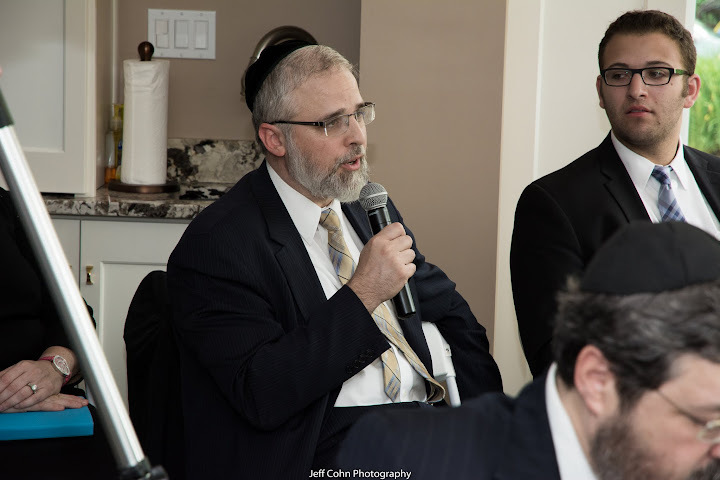 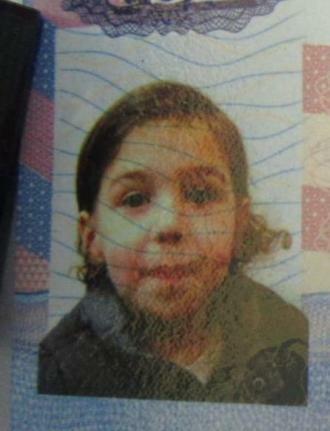 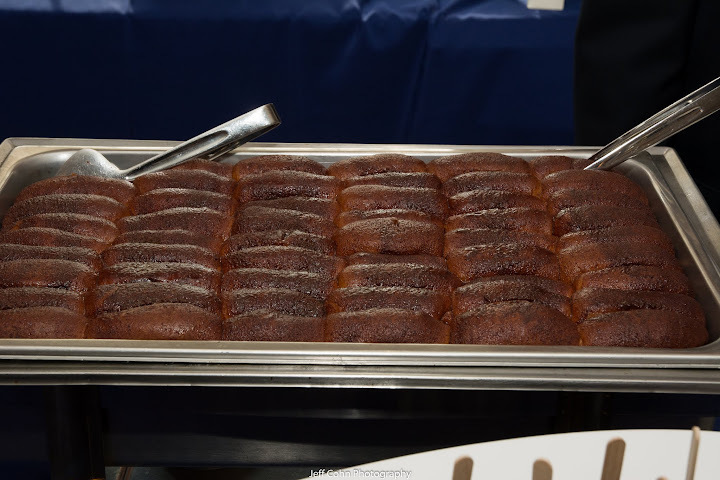 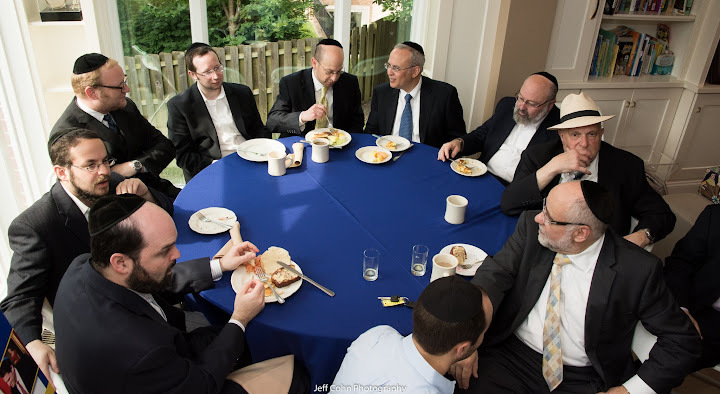 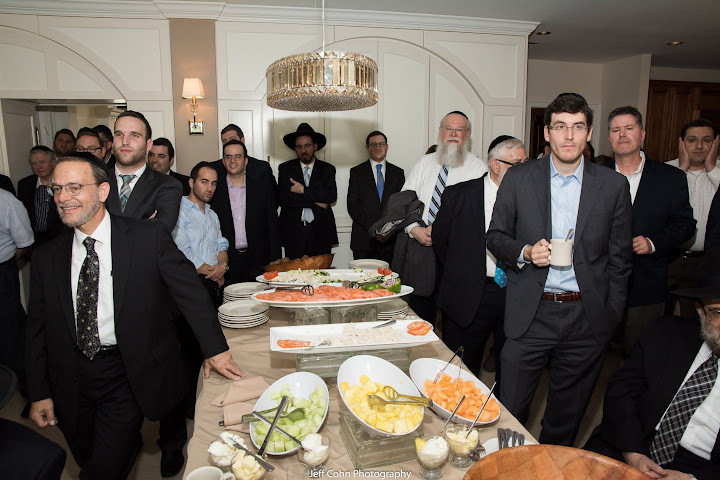 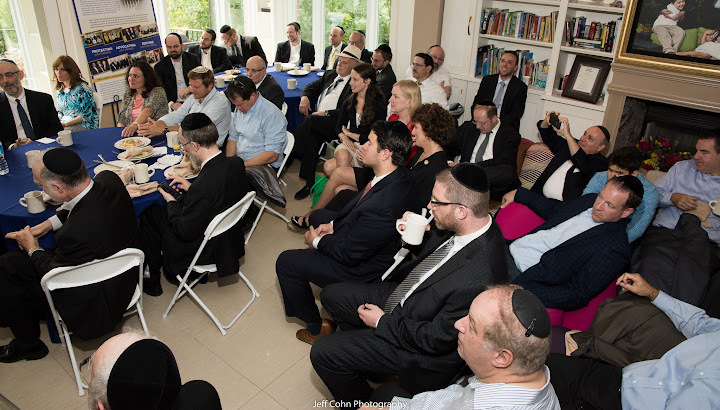 Using the impressive turnout at Sunday’s brunch as one mere example, Rabbi Zwiebel asserted that had that very survey been taken in the Orthodox Jewish community, a vastly different outcome would have resulted with the concerns for the safety and security of Israel at the top of the list. 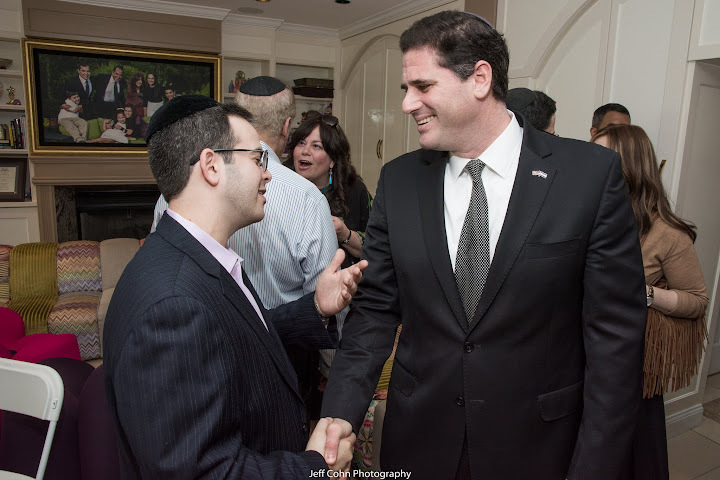 He then eloquently introduced the featured guest, Ambassador Ron Dermer. 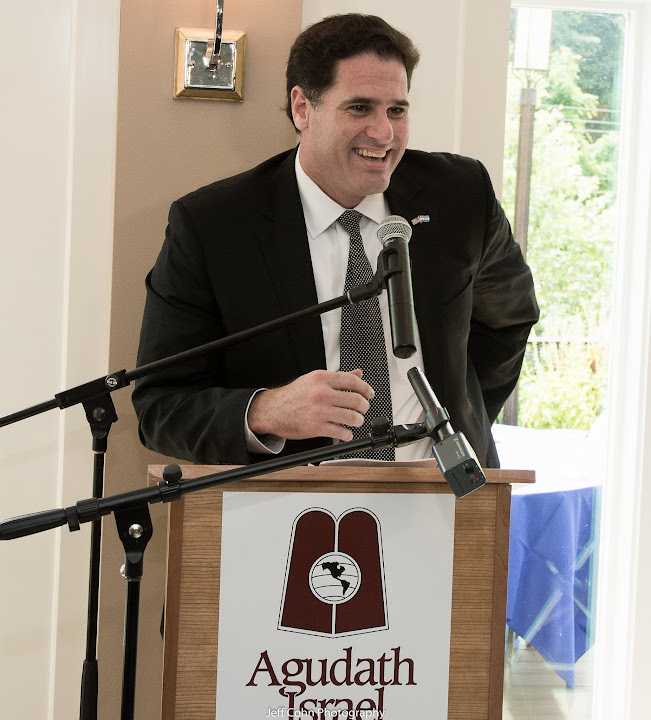 In Ambassador Dermer’s opening words, he explained that speaking to heads of state on a regular basis assists him in his ability to adjust to addressing a gathering, “but at this gathering, speaking in front of my wife’s rabbeim”, he exclaimed, “that makes me nervous!” He engaged the crowd with his quick wit and pleasant demeanor, praising the community and schools of Baltimore for its role in helping produce his wife, who is in turn raising their family with sterling middos and refined character. 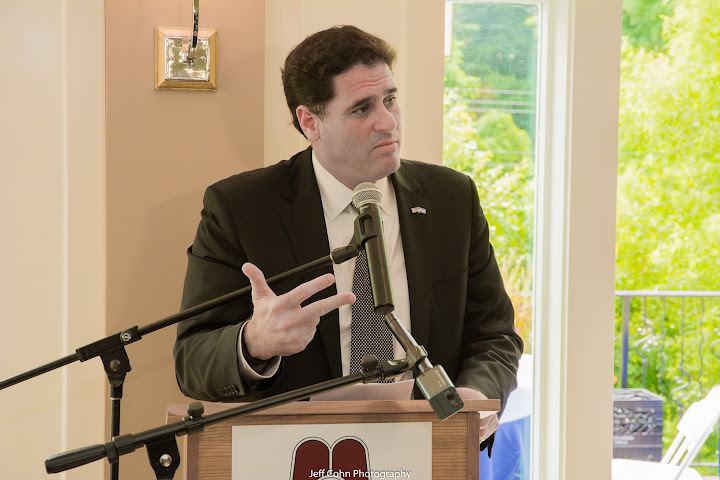 He quickly turned to address the many Israel related concerns that were on the minds and hearts of all of the gathered, and specifically with the Iran negotiations. 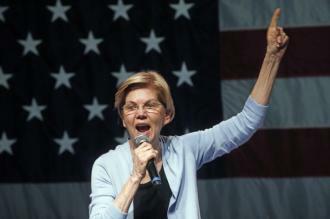 “It used to be a deal that was focused on the dismantling of Iran’s nuclear program”, he said, “now all it is, is a deal to dismantle the economic sanctions that has crippled the Iranian economy and will leave them with a vast nuclear infrastructure”. 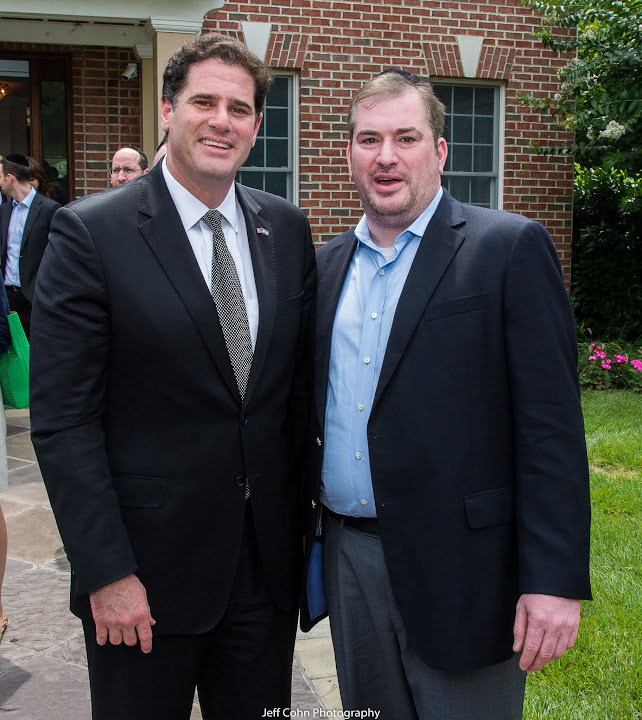 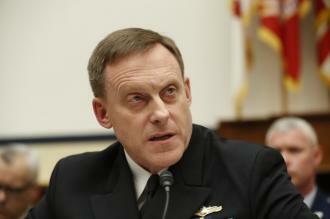 He cited numerous concerns that a deal with Iran would inevitably create. 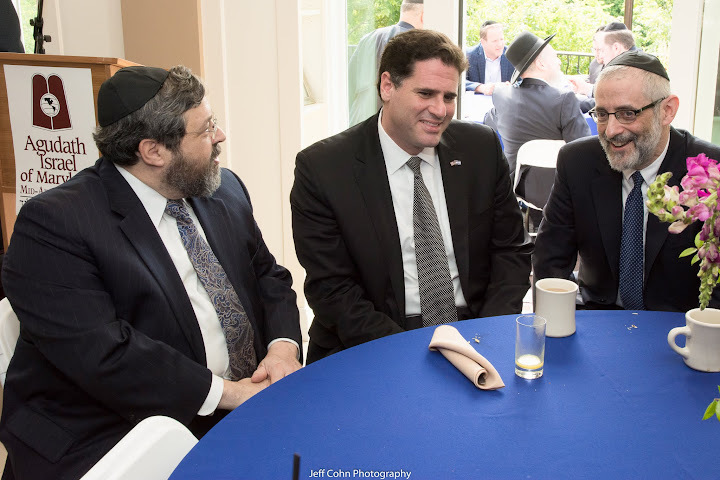 Among them he mentioned how dissolving the sanctions will provide Tehran with hundreds of billions of dollars of economic surplus to further support the terror infrastructure all around the Middle East. 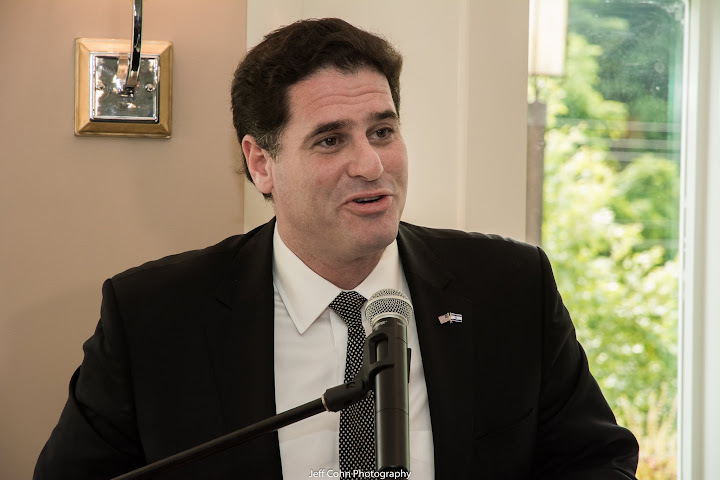 He exclaimed, “instead of blocking the road to a nuclear weapon, it rather paves the road to the bomb.” And while all of these negotiations are going on, the virulent statements of destruction of Israel and America are still being made by the Iranian regime. 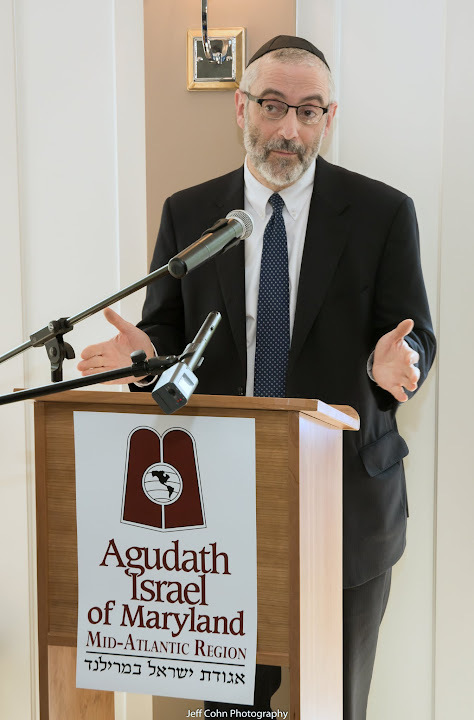 The Ambassador firmly expressed the impeccable truth of the concept of “netzach Yisrael lo yishaker” – the eternity of the Jewish people doesn’t lie, “after all of the empires in history who persecuted the Jewish people have disappeared, only the Jewish people remain”. 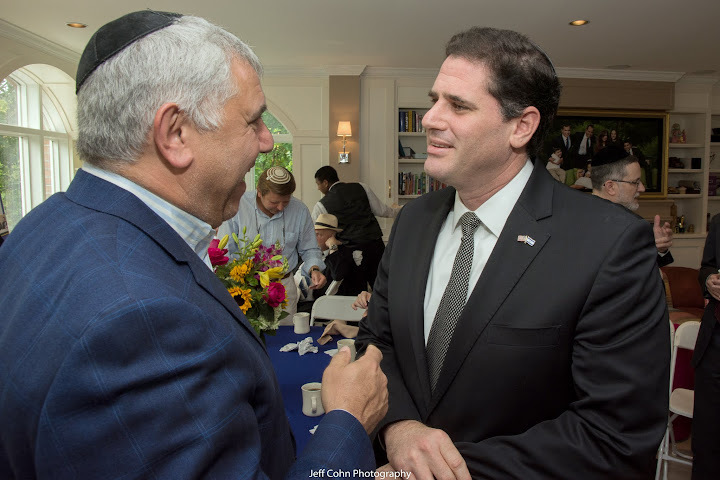 He recently shared that with a group of congressmen when he explained that upon his appointment as ambassador, he made courtesy calls to a number of other ambassadors. 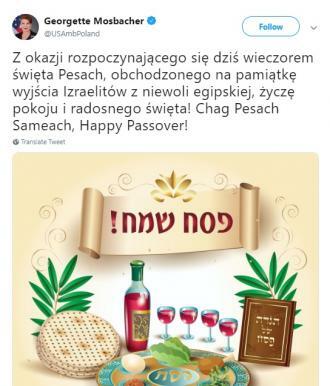 Among them was not the ambassador of the Babylonian Empire, nor was it the Roman Empire, and it was not even the ambassador of the Third Reich of Germany. 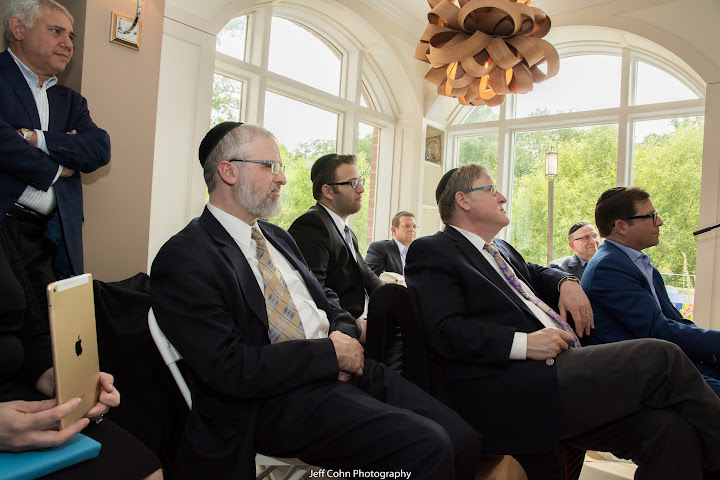 He called upon the gathered to think about the great fortune we have as Jews to go to Israel as often as we please to visit and to learn Torah, and to view it as our homeland where we can make Aliyah – all things our ancestors wish they could’ve done. 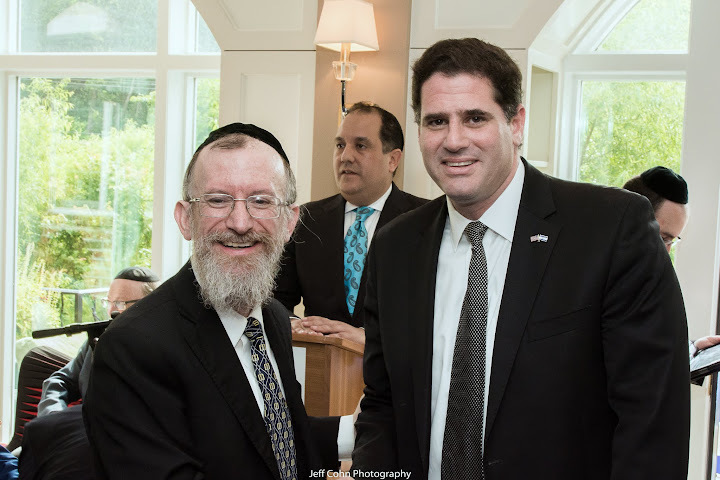 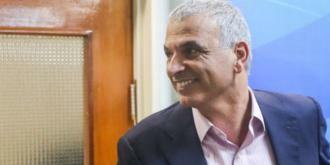 He calls upon Jews everywhere to assist Israel by continuing to strengthen their Jewish identity and continuing to visit Israel, and encouraging those ready to do so, to settle in Israel. 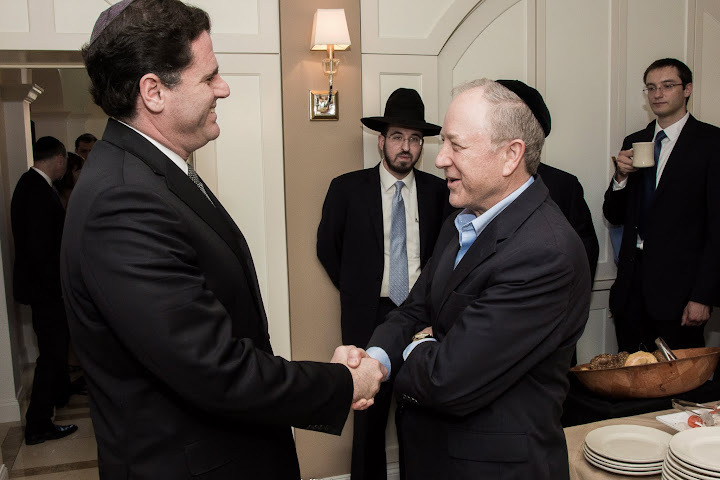 As dangerous as things seem to be today, Jews are safer now in Israel than they are anywhere else in the world. 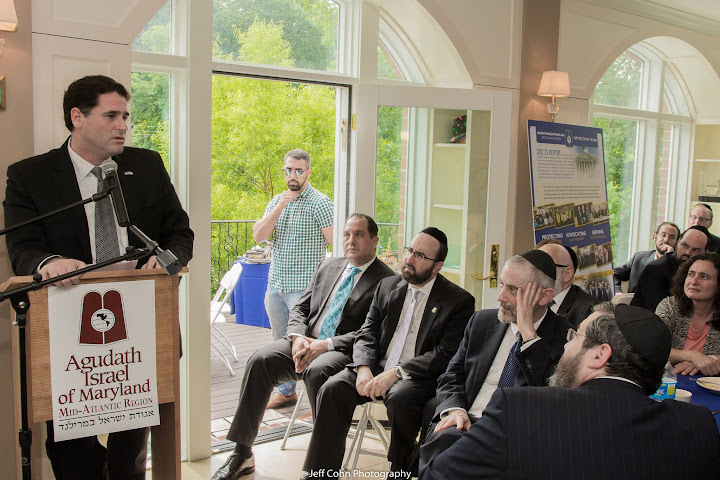 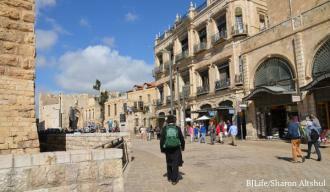 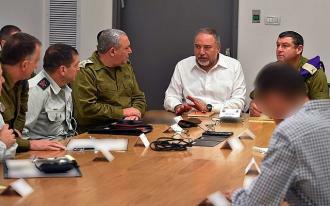 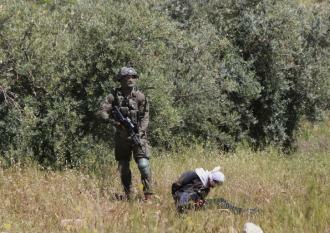 Today’s Jews will do whatever they need to do in order to keep its people safe and secure. 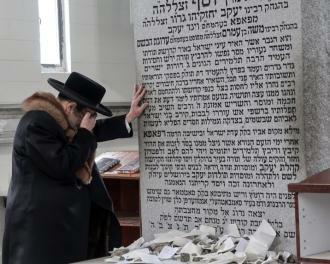 We all beseech the Heavens that Hashem continues to watch over all of us Klal Yisroel and Eretz Yisroel – as it says in Tehillim, “Hinai lo yanum v’lo yishan Shomer Yisroel”.